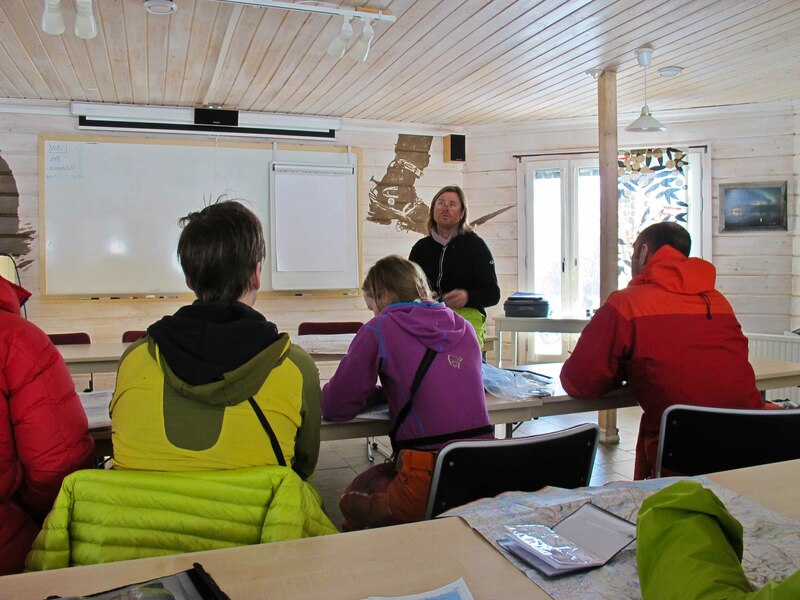 During the last week I’ve been out in the Swedish wilderness taking the last ski course on the Swedish UIAGM Mountain Guide Scheme. 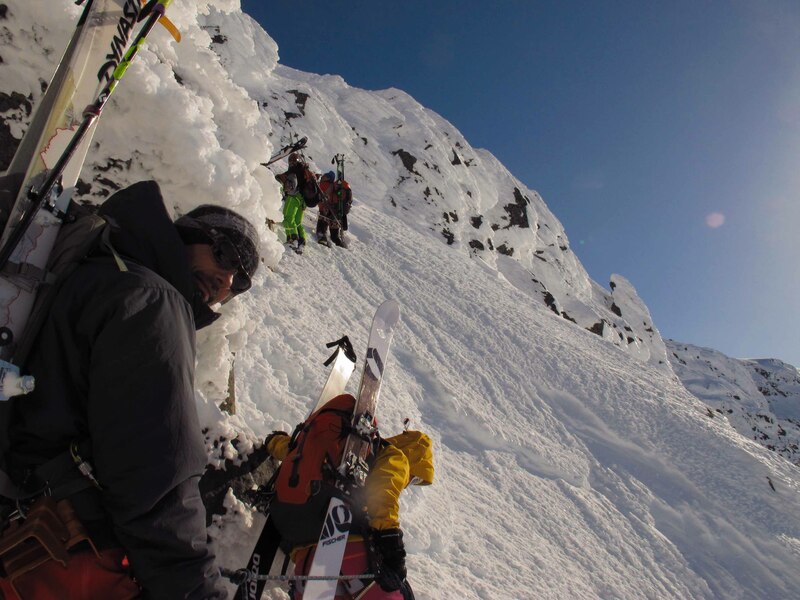 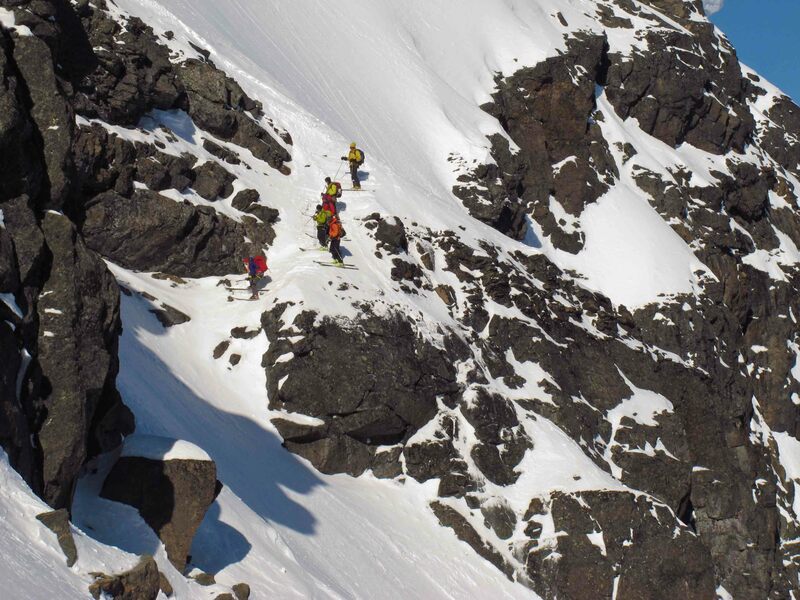 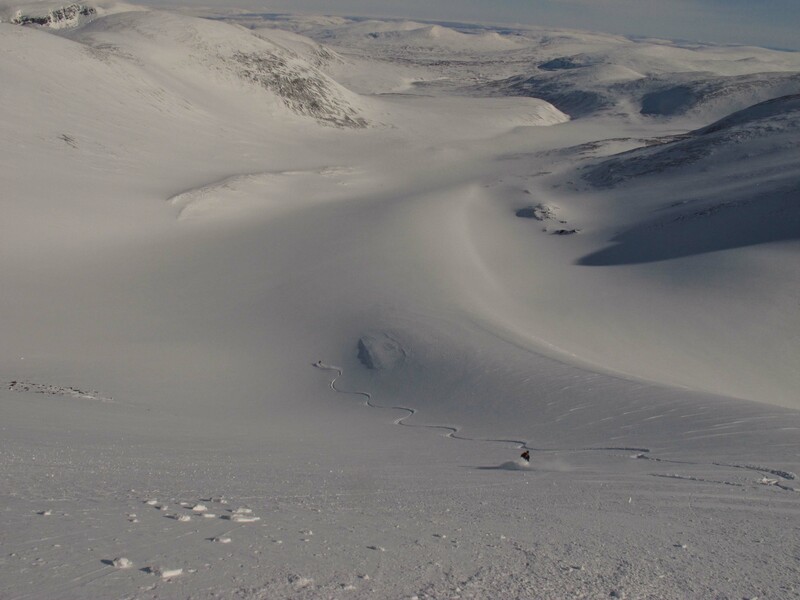 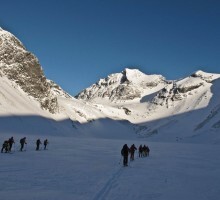 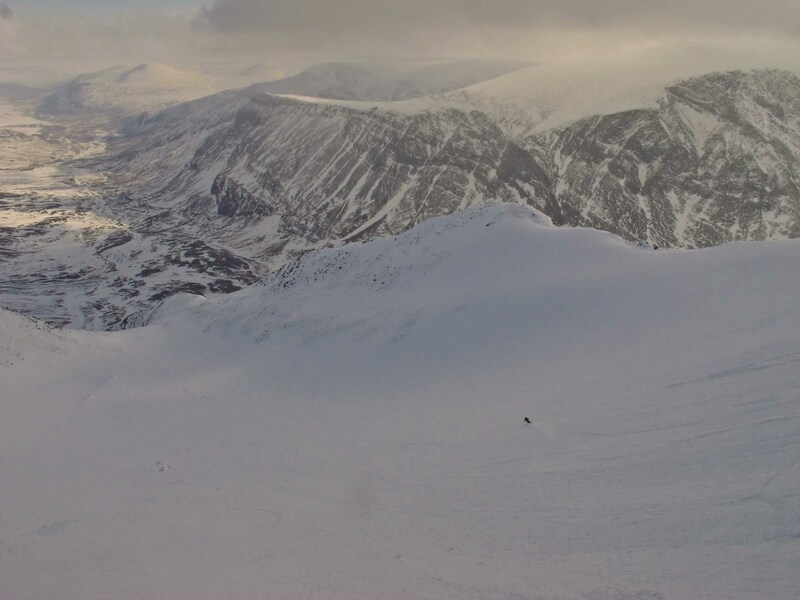 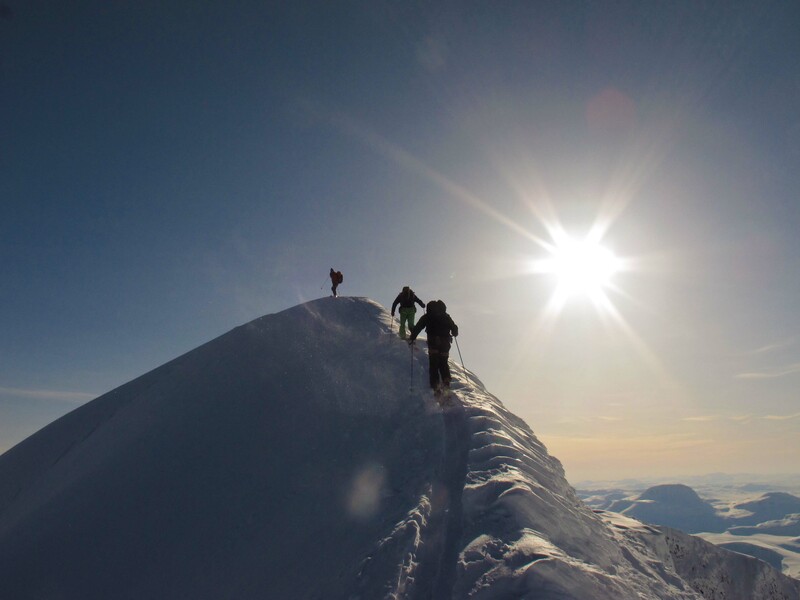 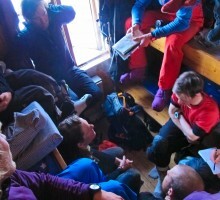 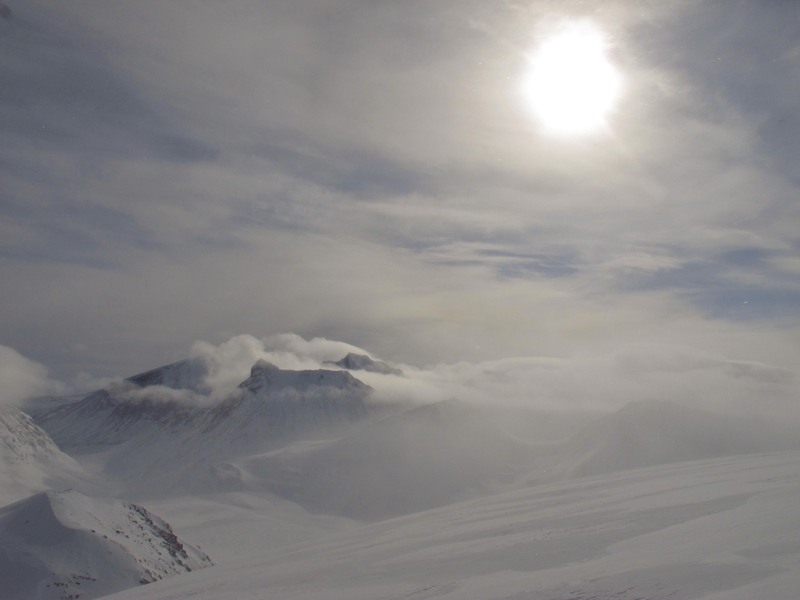 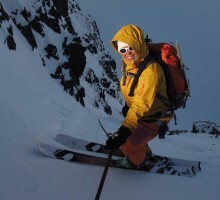 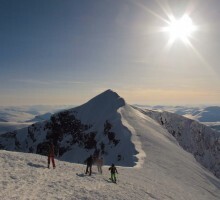 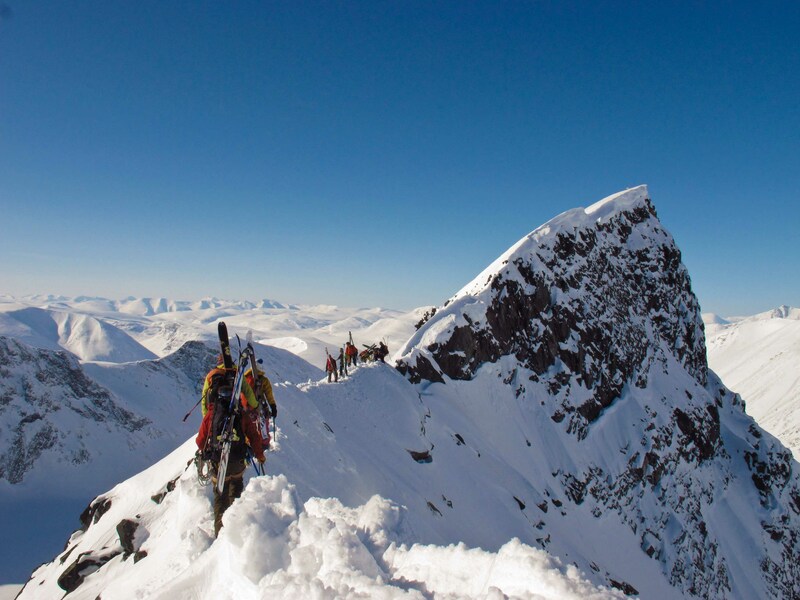 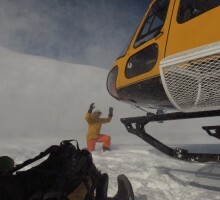 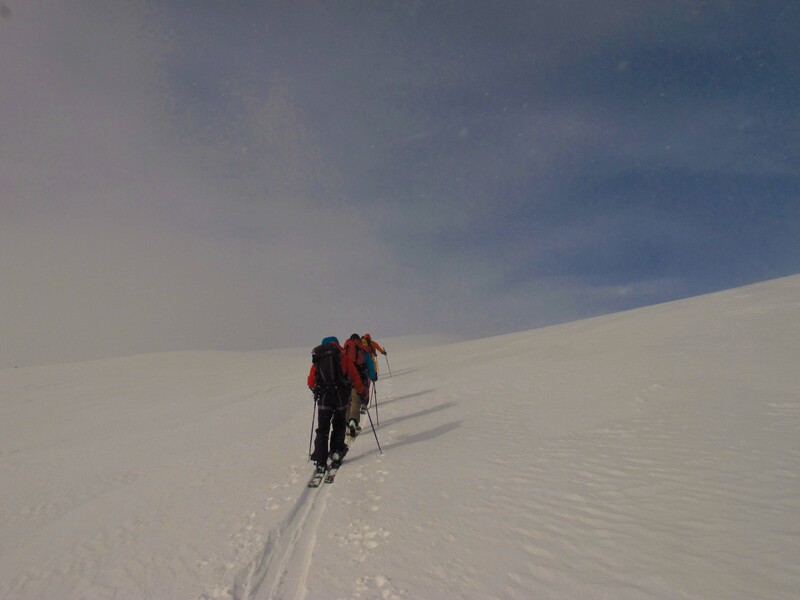 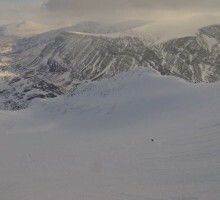 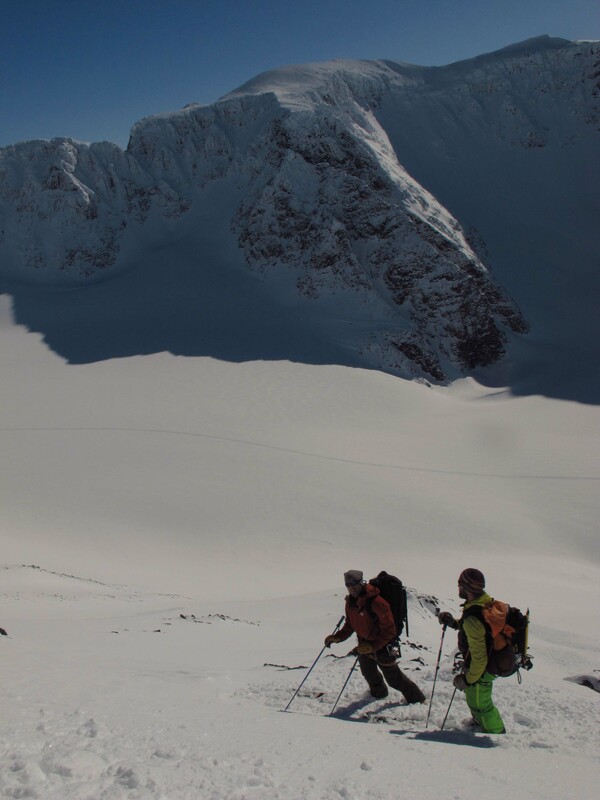 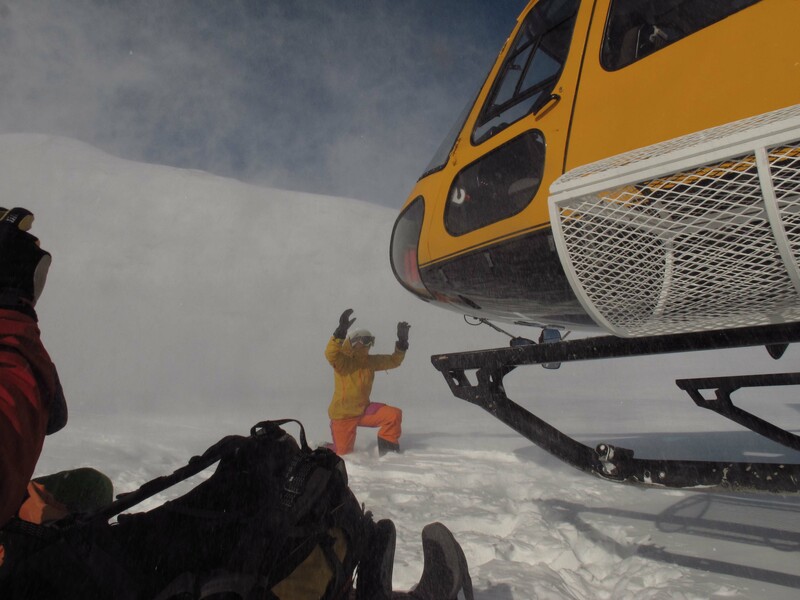 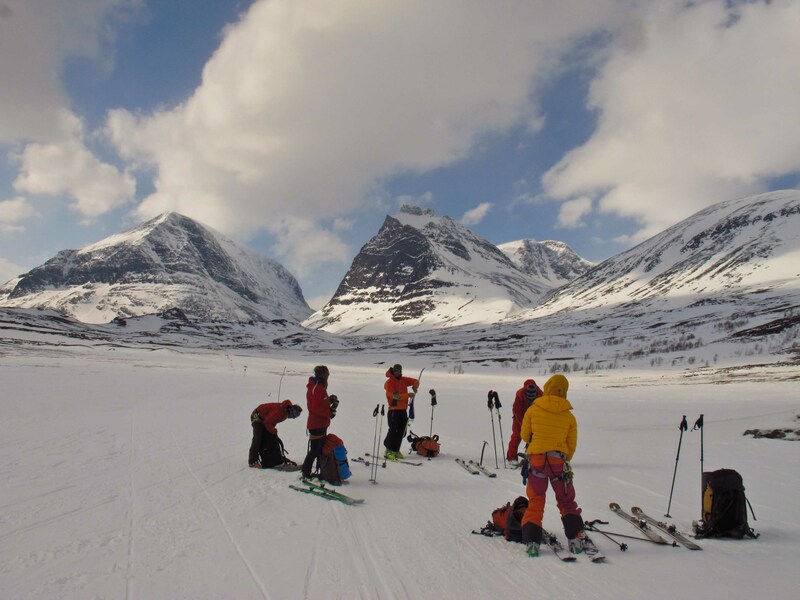 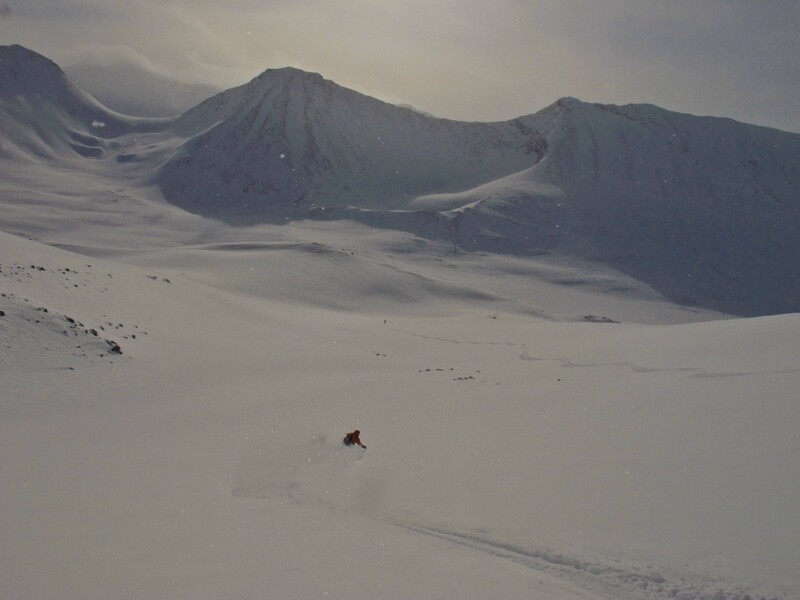 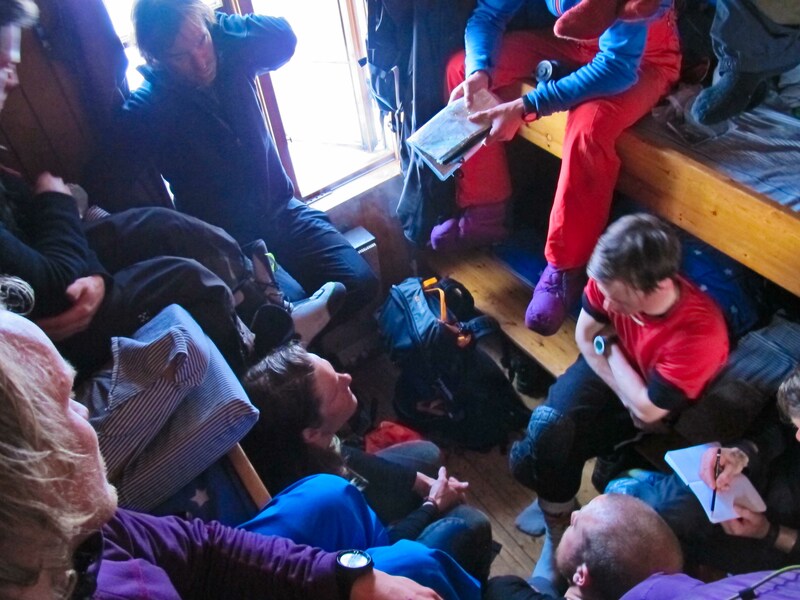 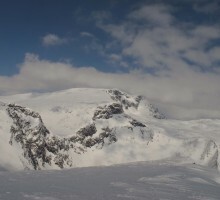 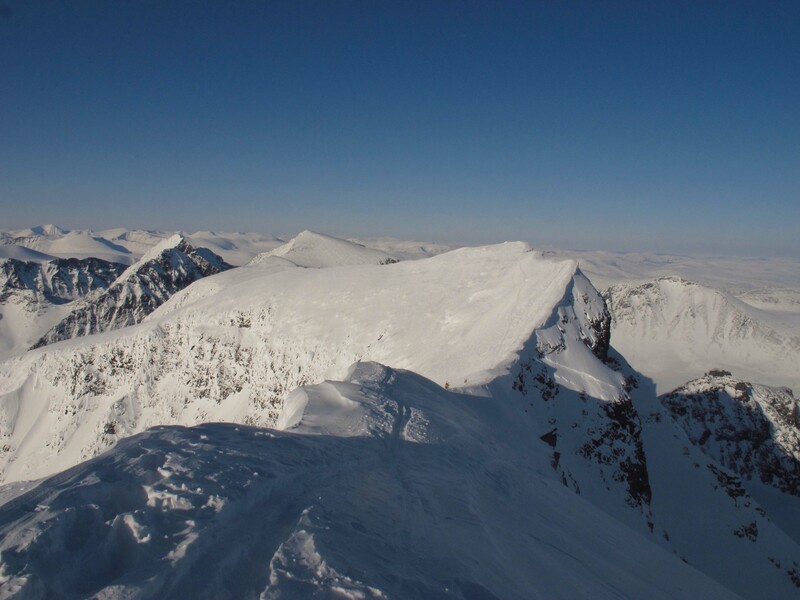 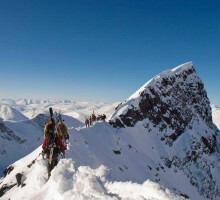 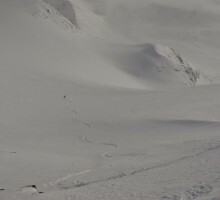 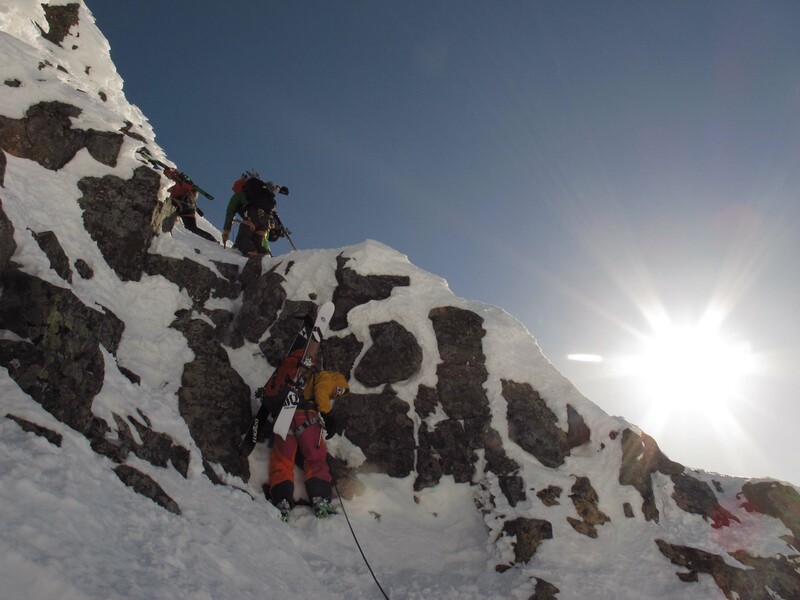 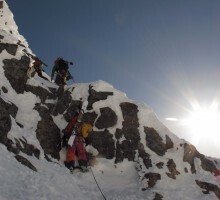 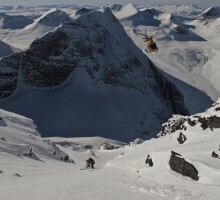 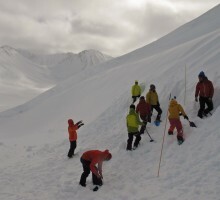 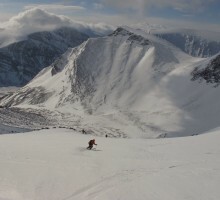 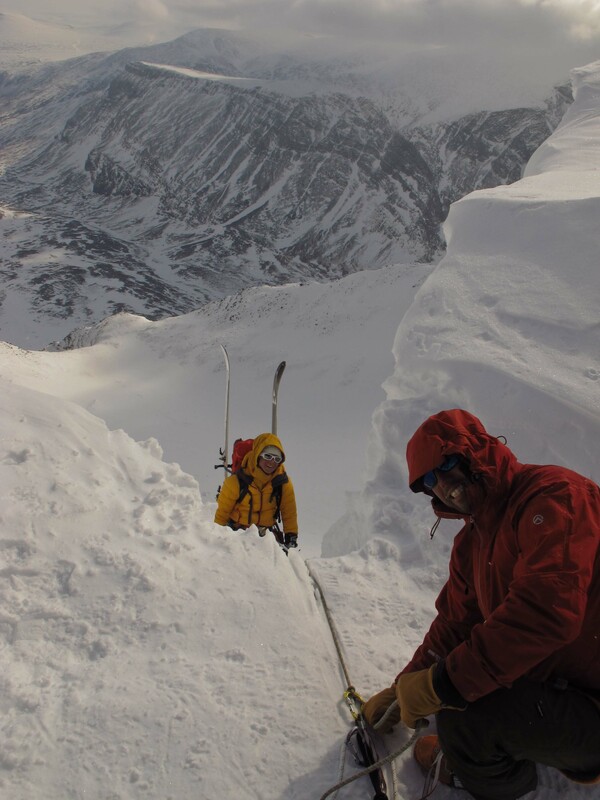 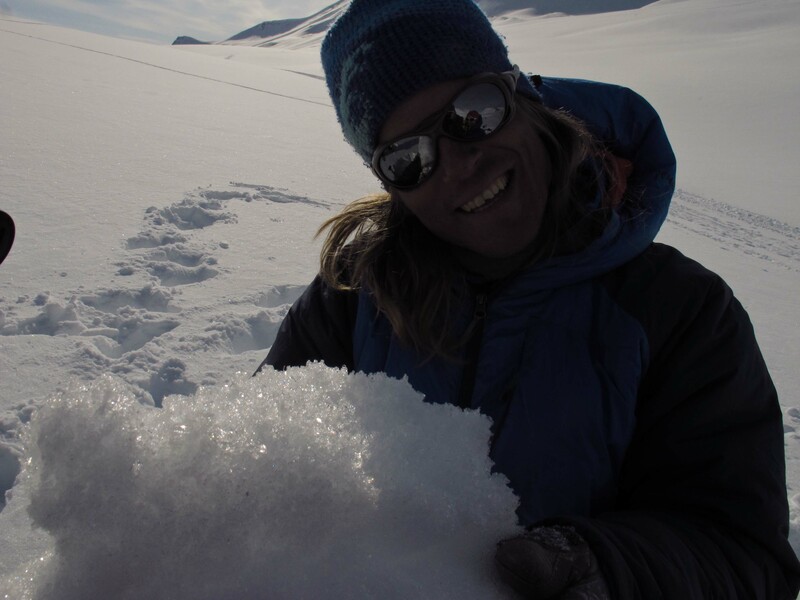 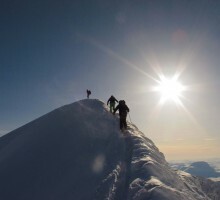 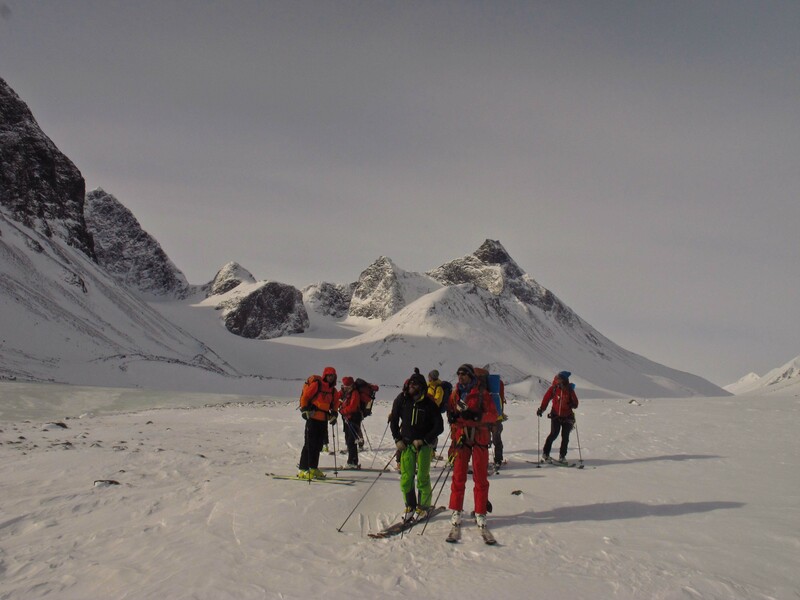 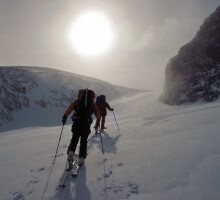 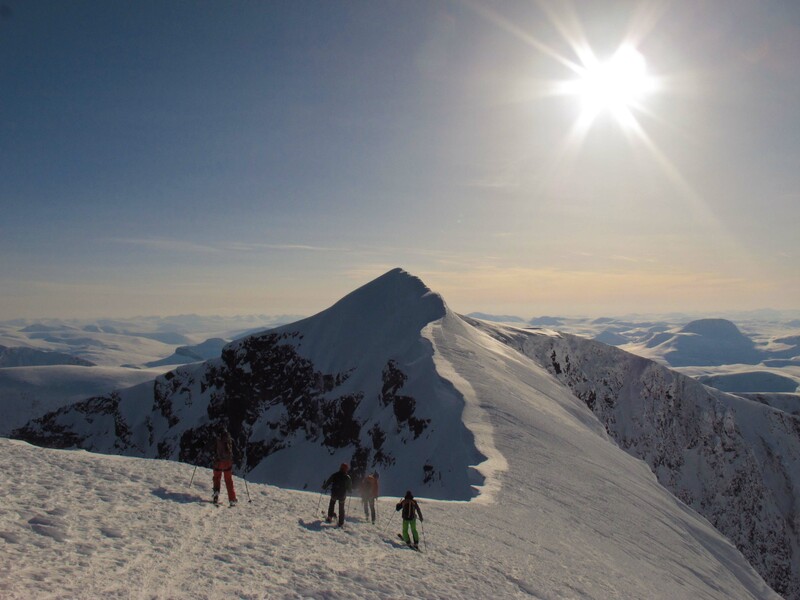 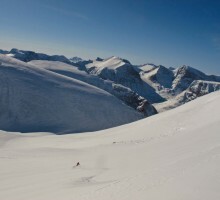 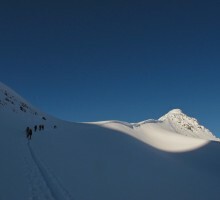 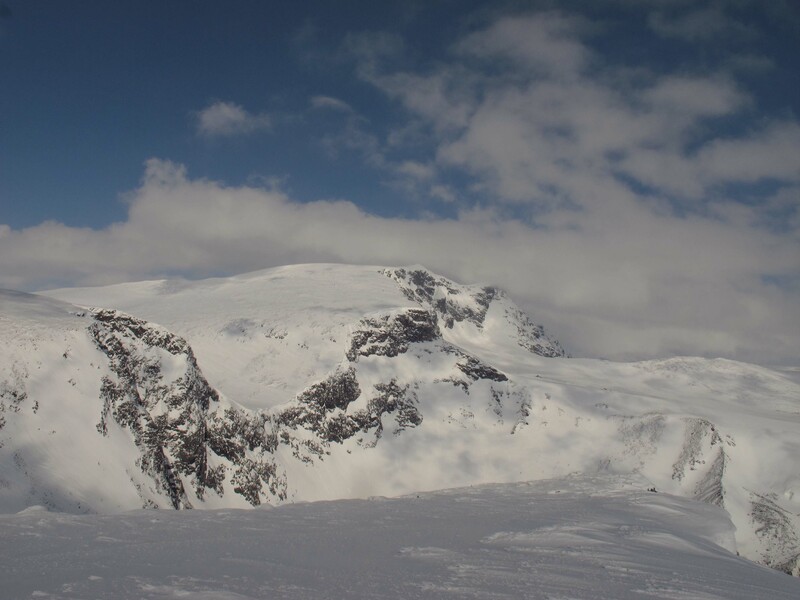 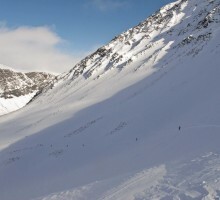 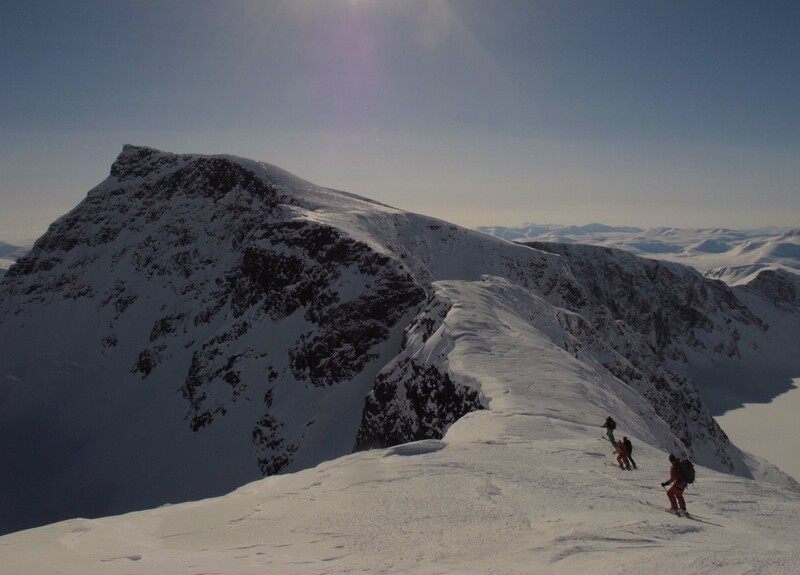 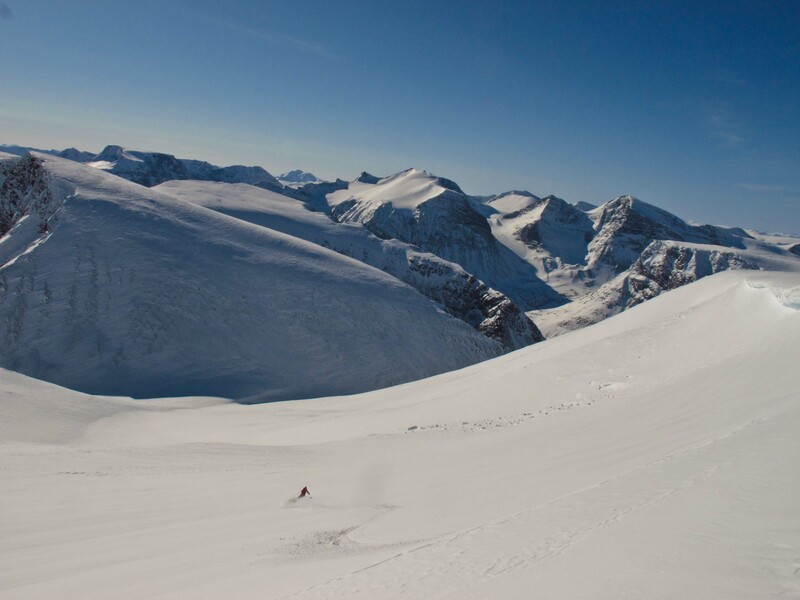 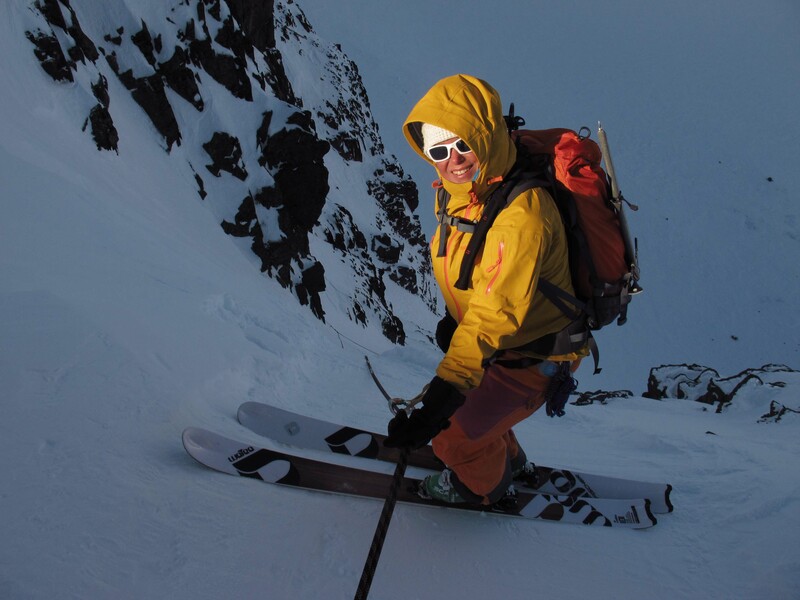 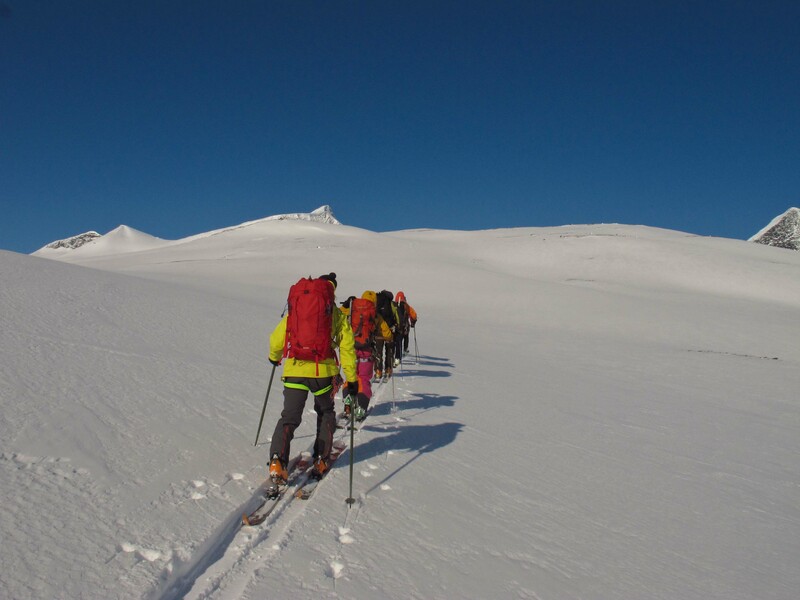 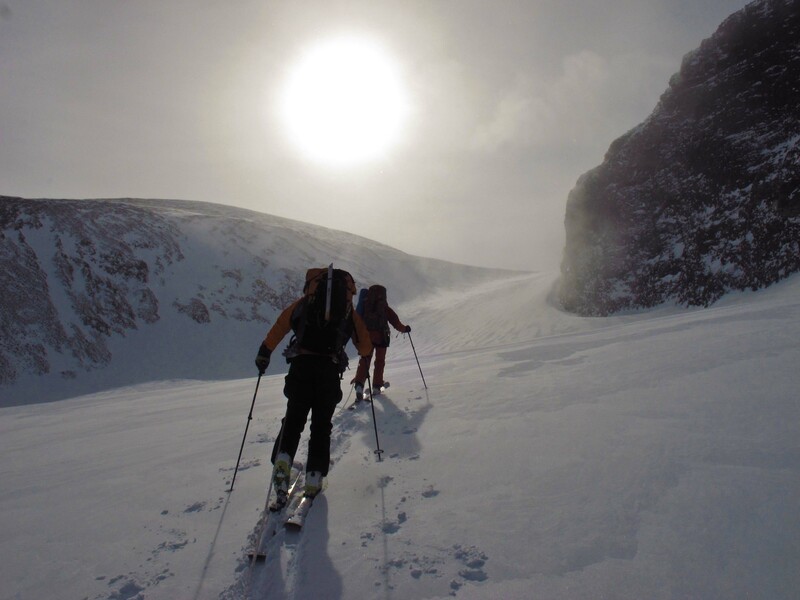 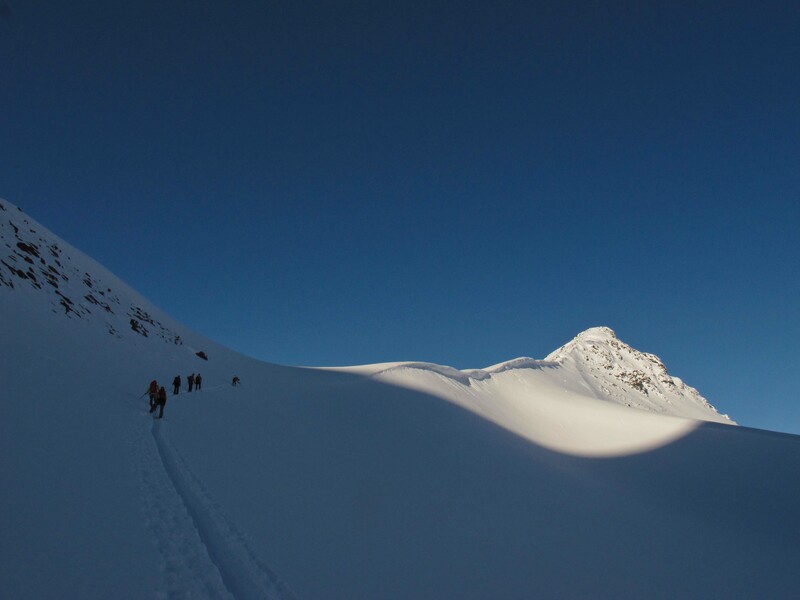 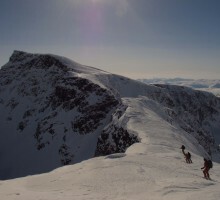 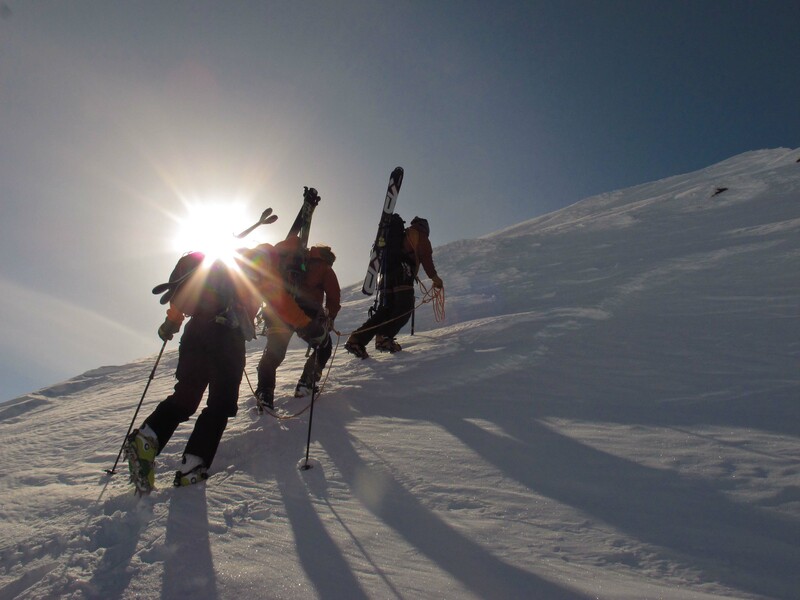 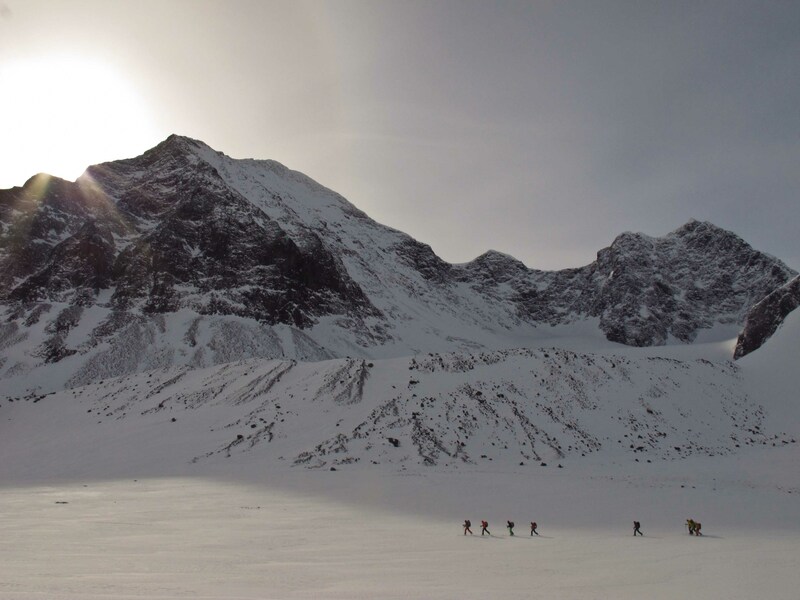 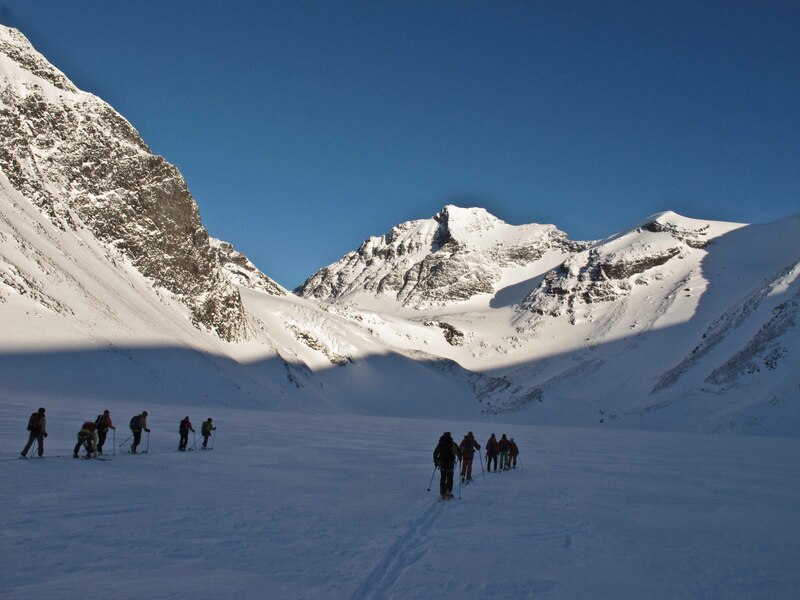 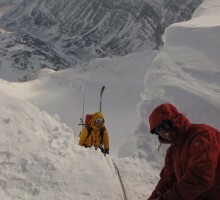 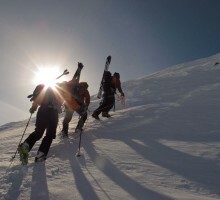 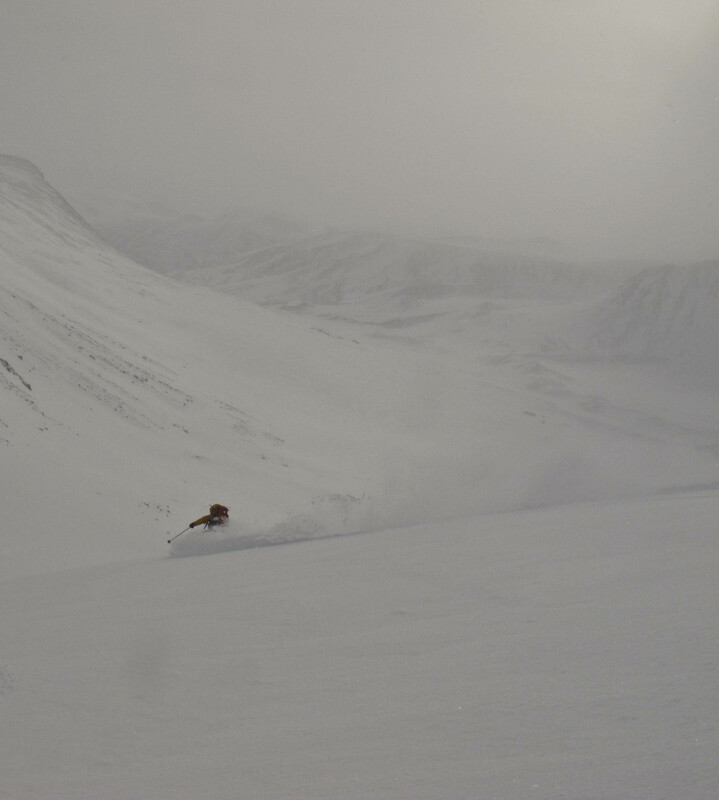 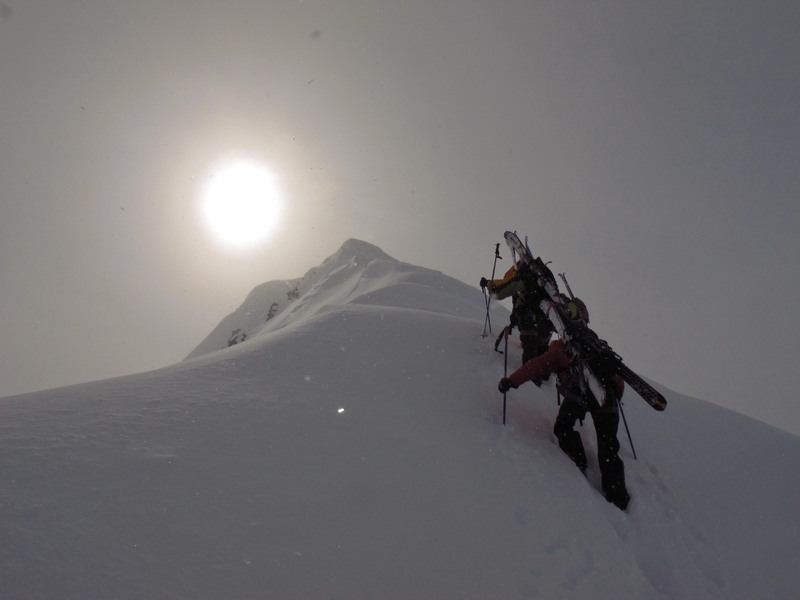 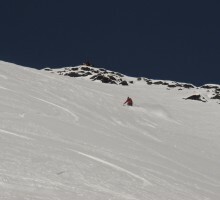 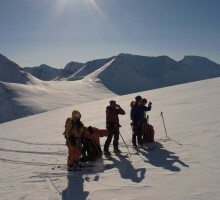 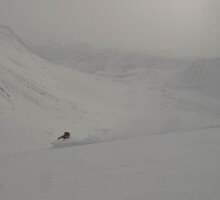 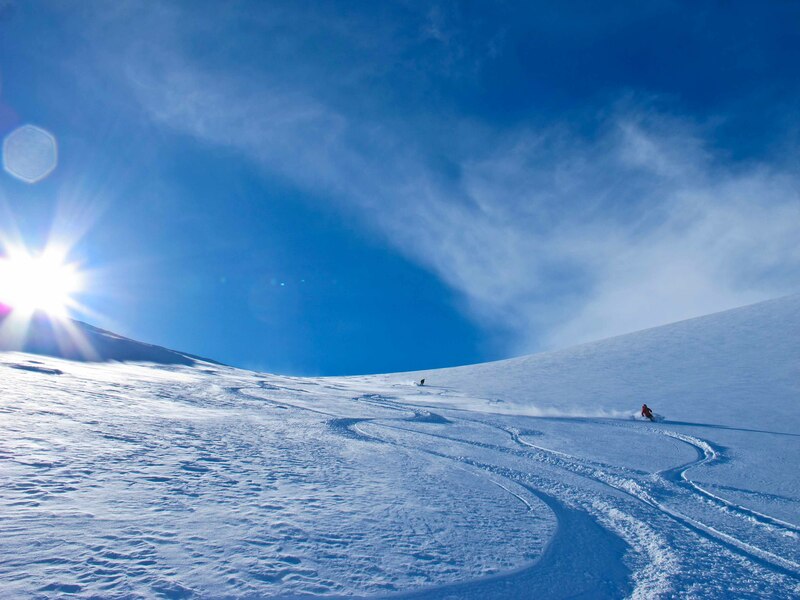 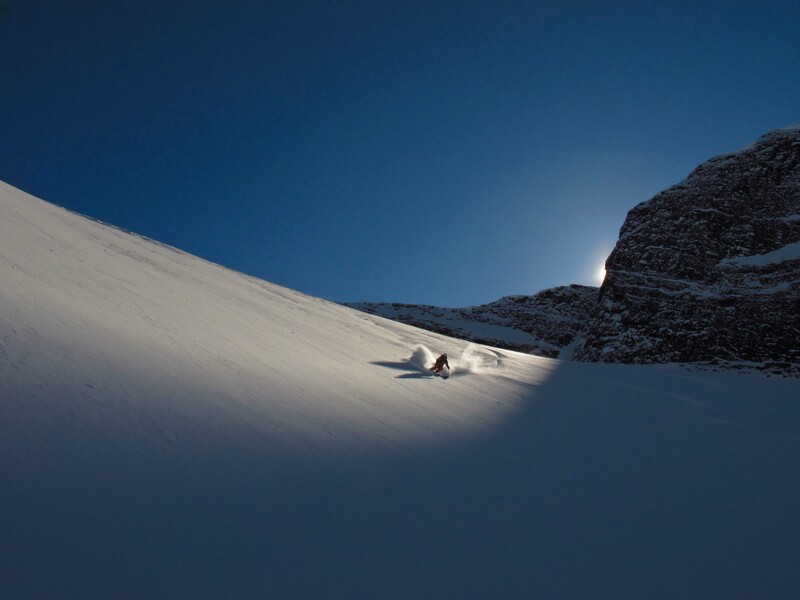 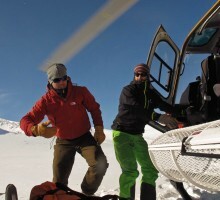 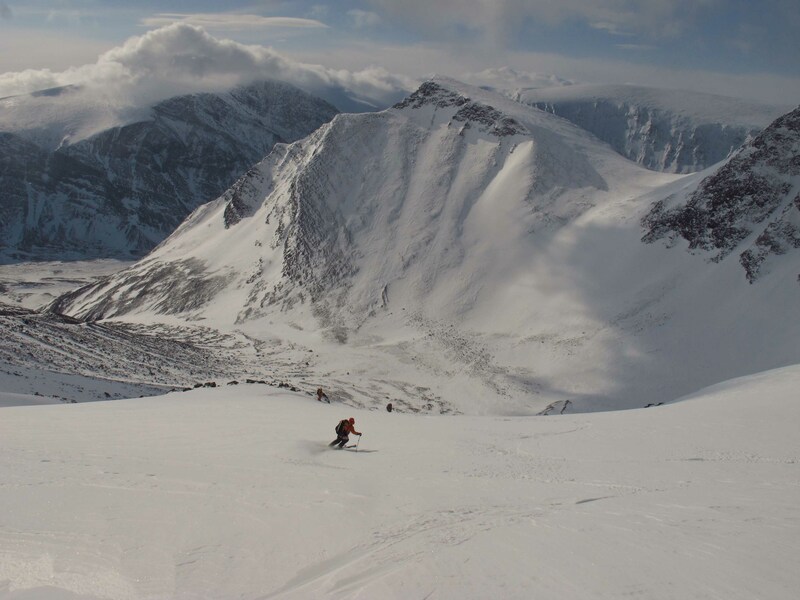 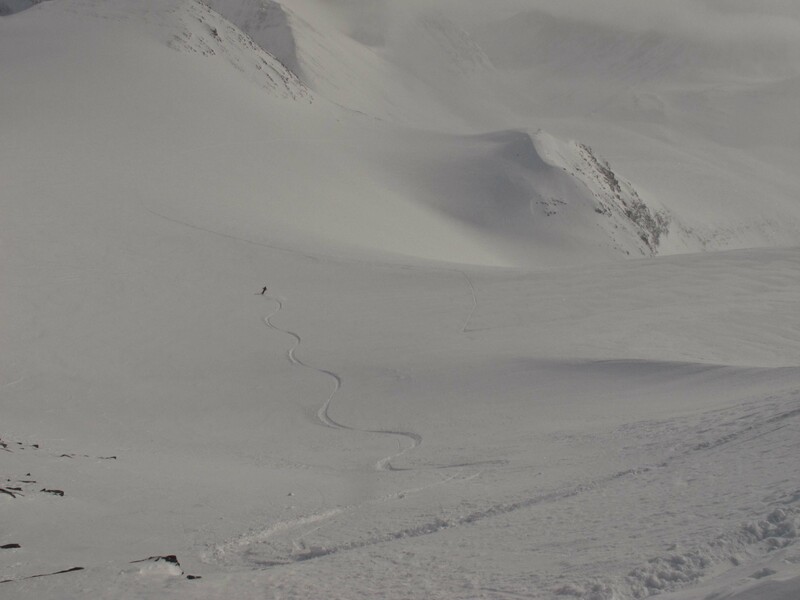 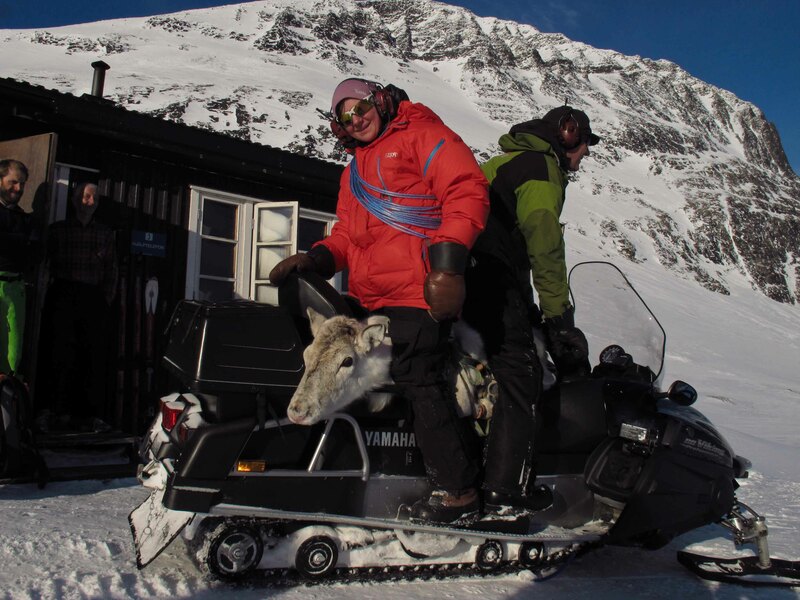 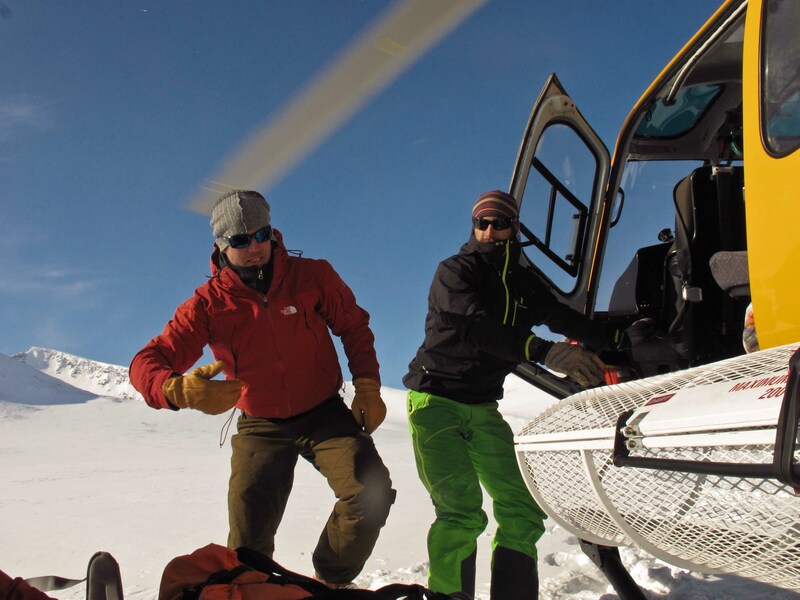 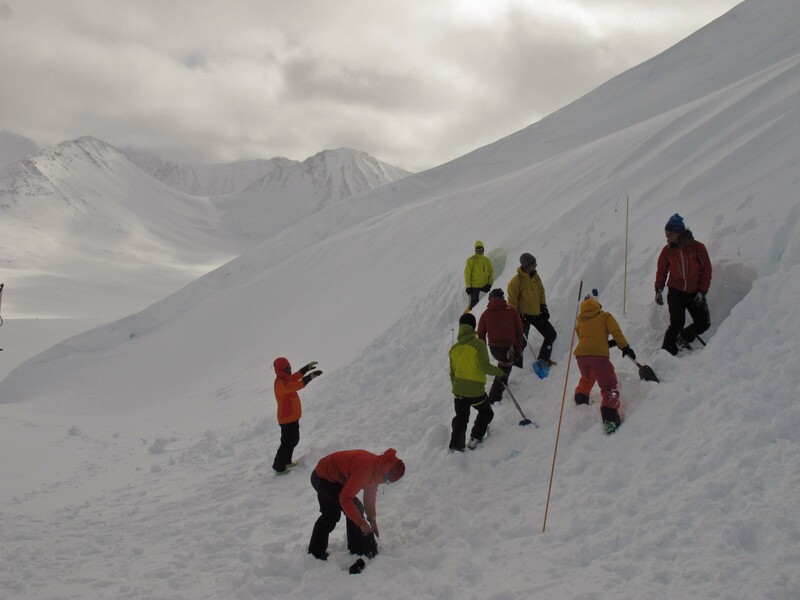 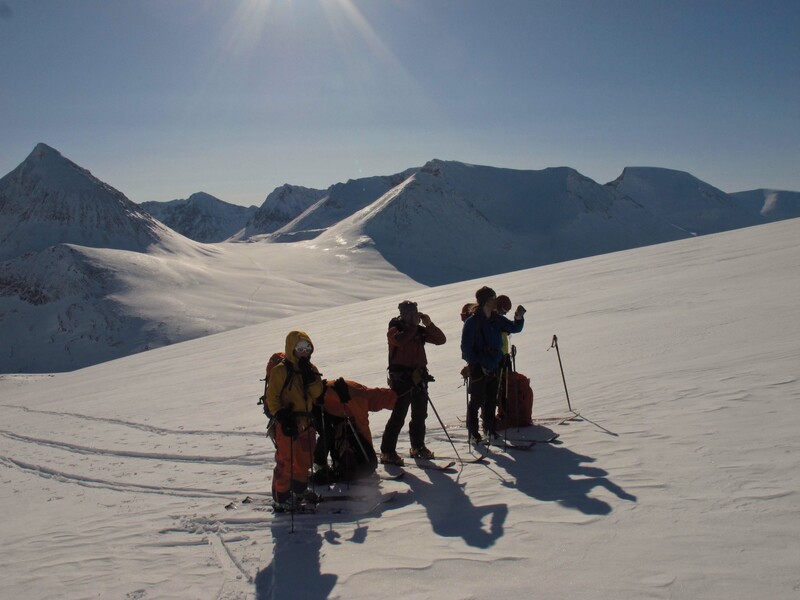 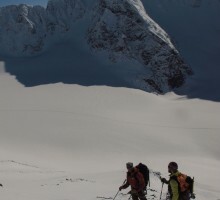 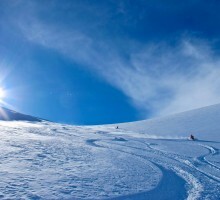 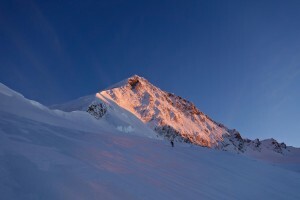 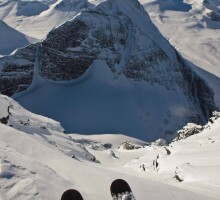 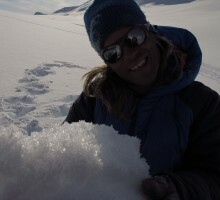 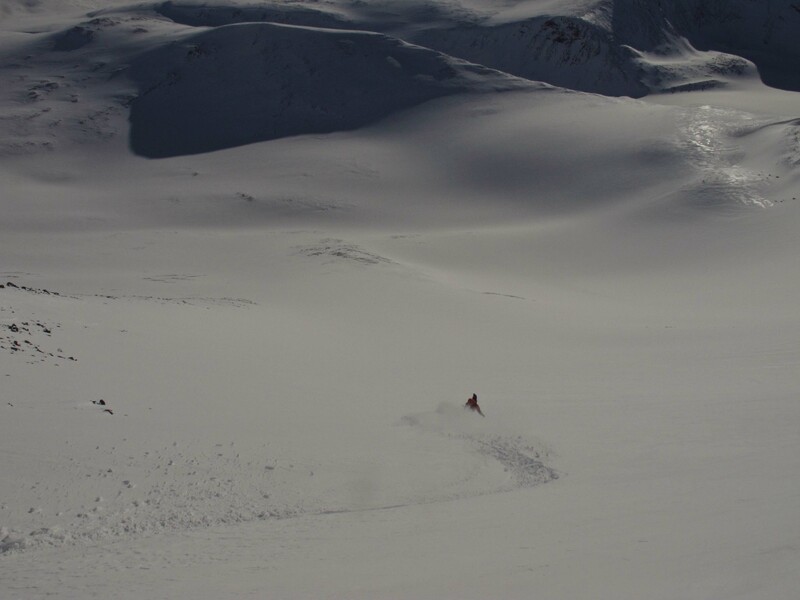 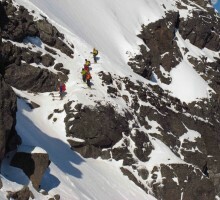 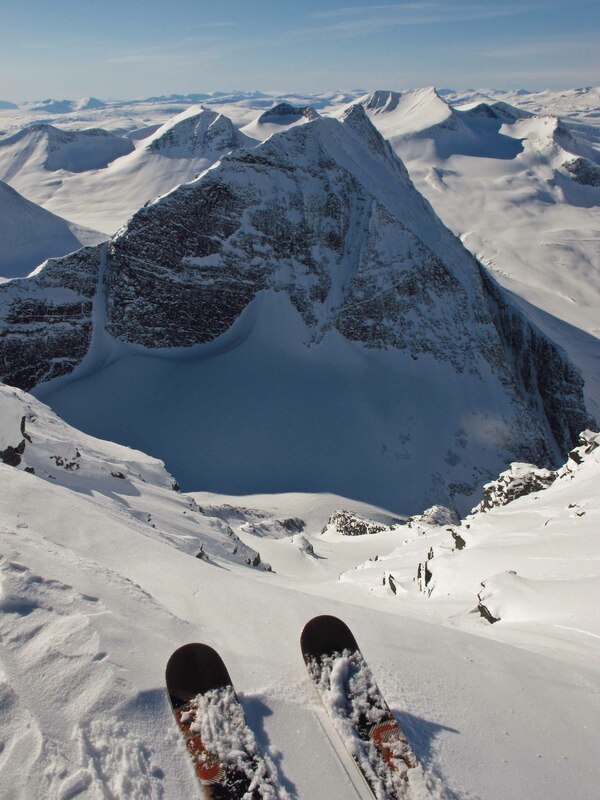 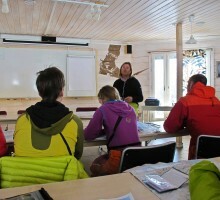 The topic of the week was Scandinavian ski touring and heli skiing in the last real west-European wilderness. 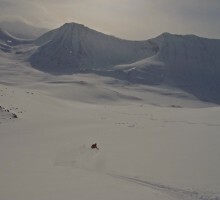 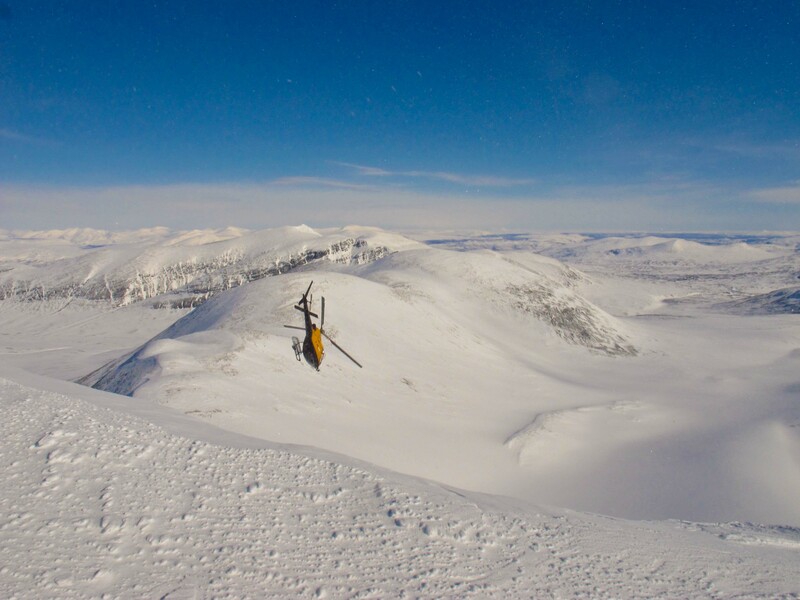 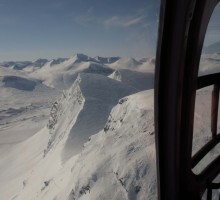 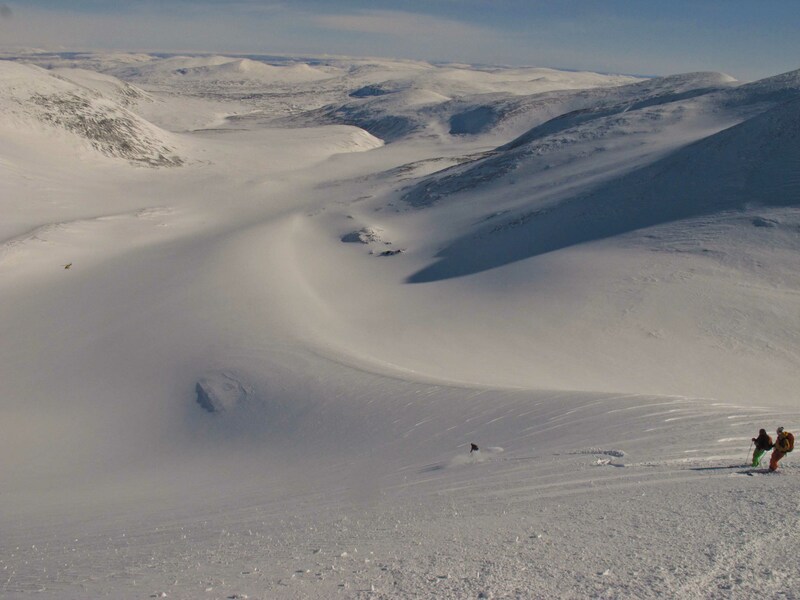 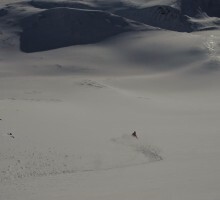 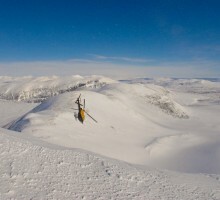 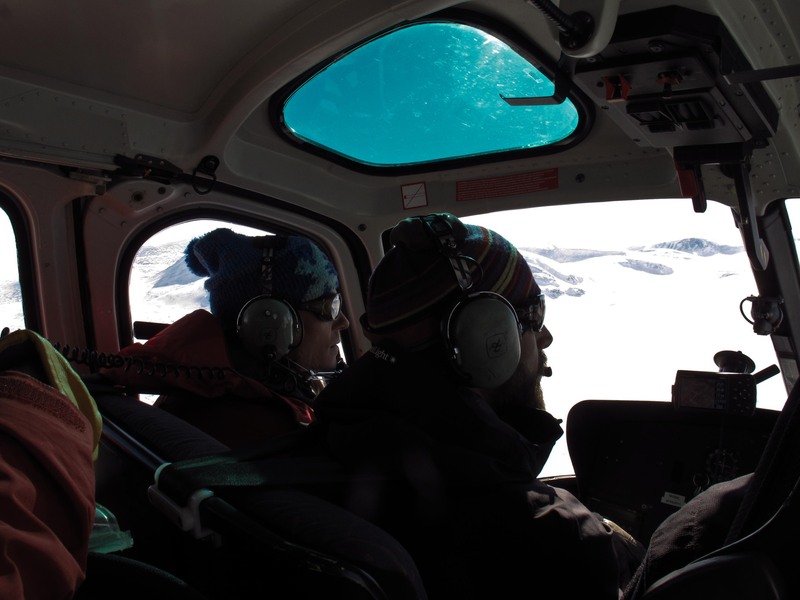 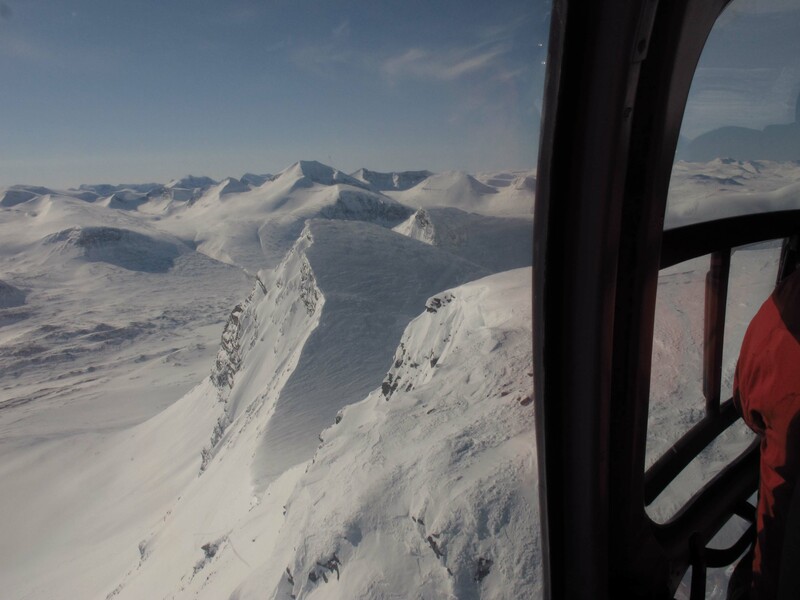 We started the course in Abisko and spent our first day training heli-ski guiding and the work around the helicopter. 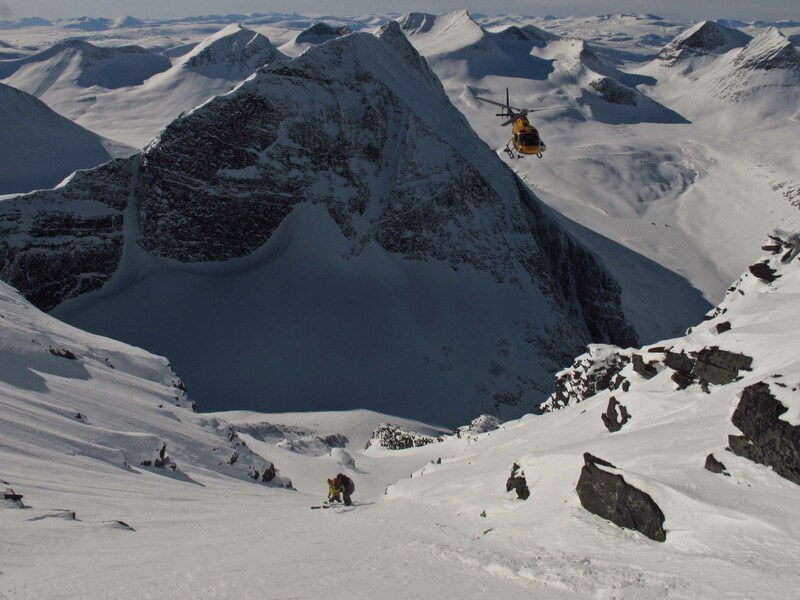 I used to work a lot with heli guiding in this area years back and it really made me want to come back regularly to spend time skiing our precious smorgasbord of wonderful mountains. 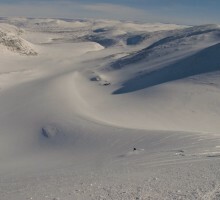 We worked our way down south from Abisko, skiing perfect boot deep powder in good speed, working our way through the Abisko alps down south past Kåtatjåkka, Mårma and all the way to the mountains around Nallo, and after a good ski day we had food and camping gear unloaded from the heli and checked in for two night in the Nallo hut. 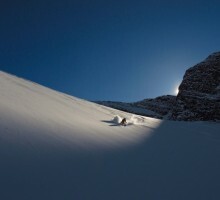 Eva Eskilsson playing with light! 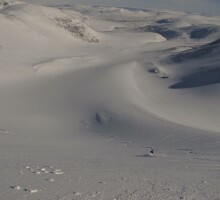 From the Nallo hut we did one good overlooking ski tour that served up with some of the best steep runs I have ever done in Sweden. 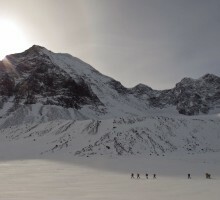 The next day we continued south towards Unna Reitas and the Pyramid, following the Swedish high route, Jojo Leden, and found a perfect bivouac spot about half way between Nallo and Tarfala. 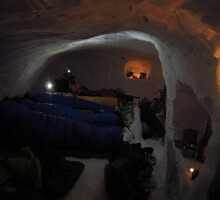 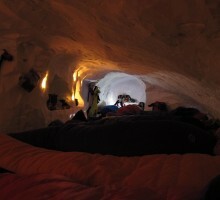 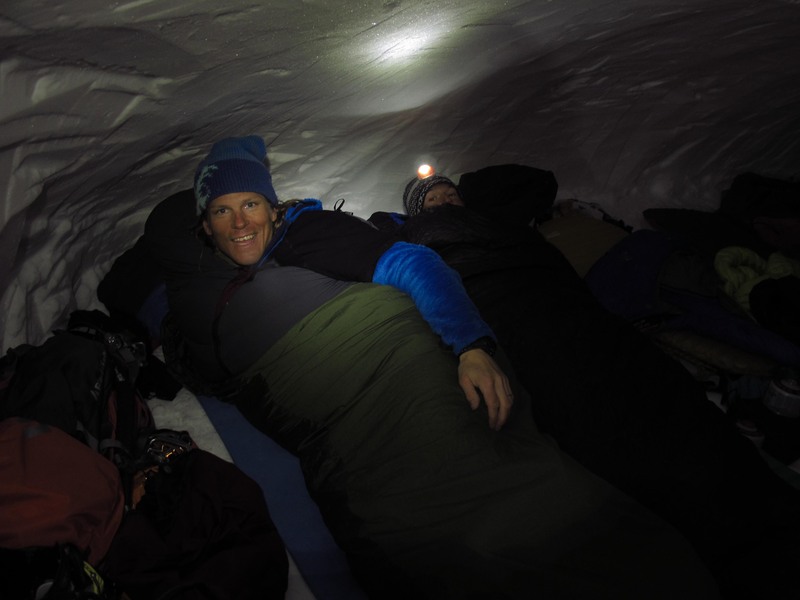 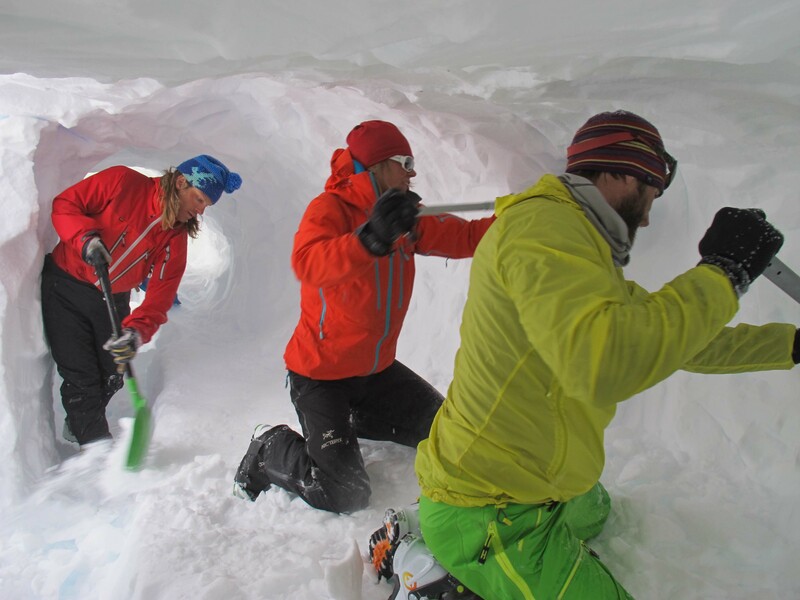 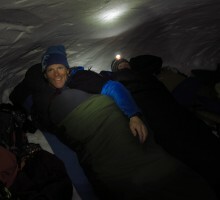 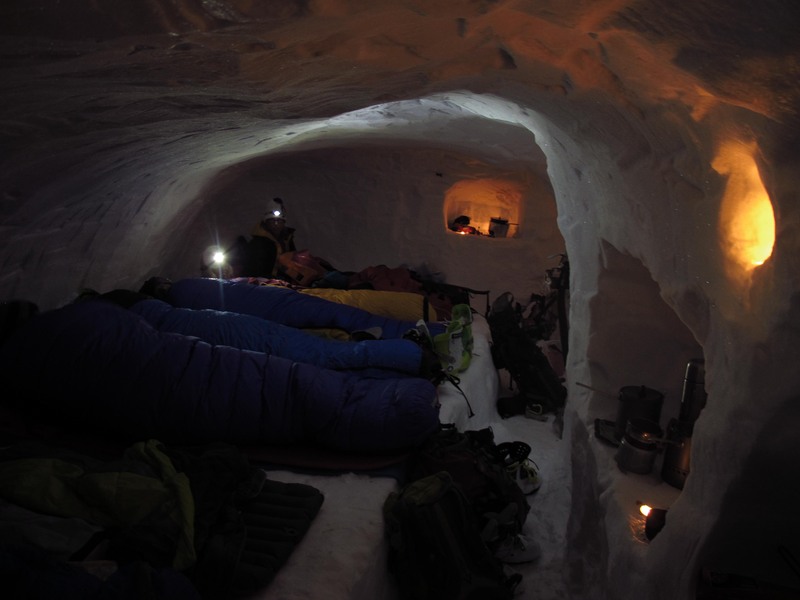 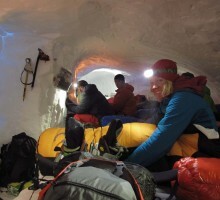 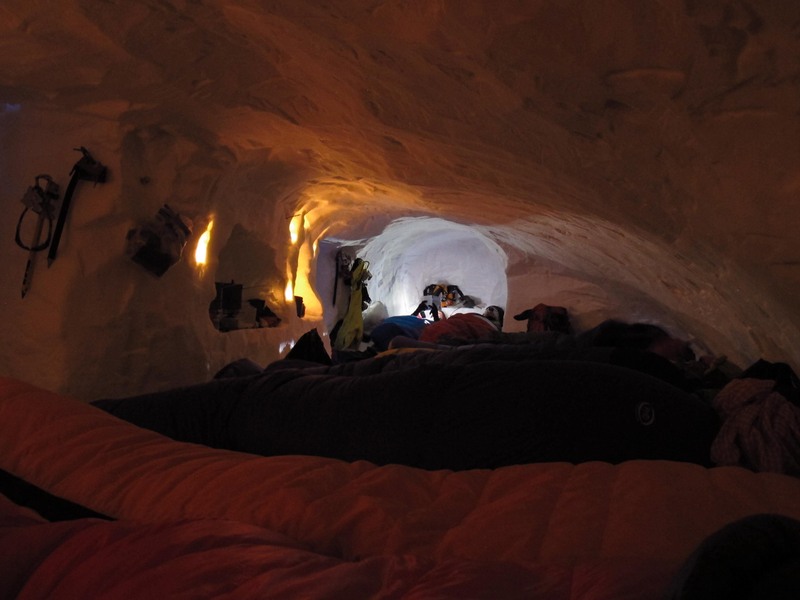 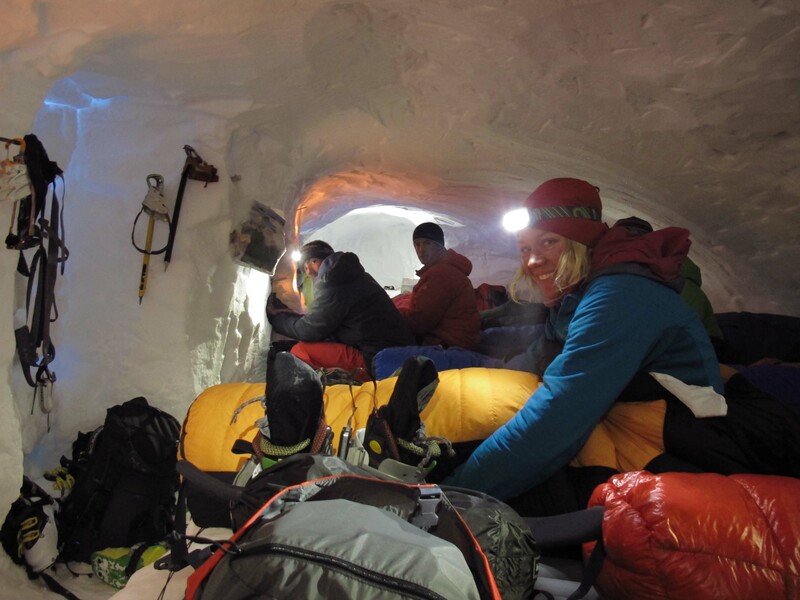 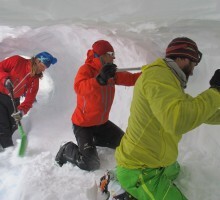 Here we dug out a giant snow cave with comfortable room for 12 people and spent two cozy nights with a long ski touring day in between, before we continued south to the Tarfala hut via the col south of Kaskasatjåkka. 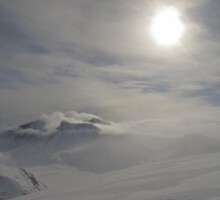 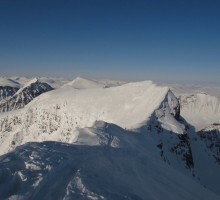 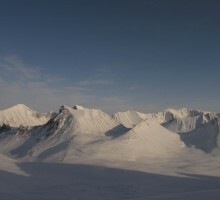 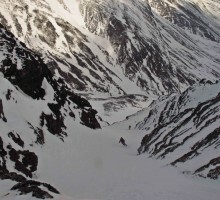 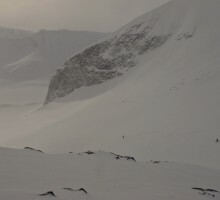 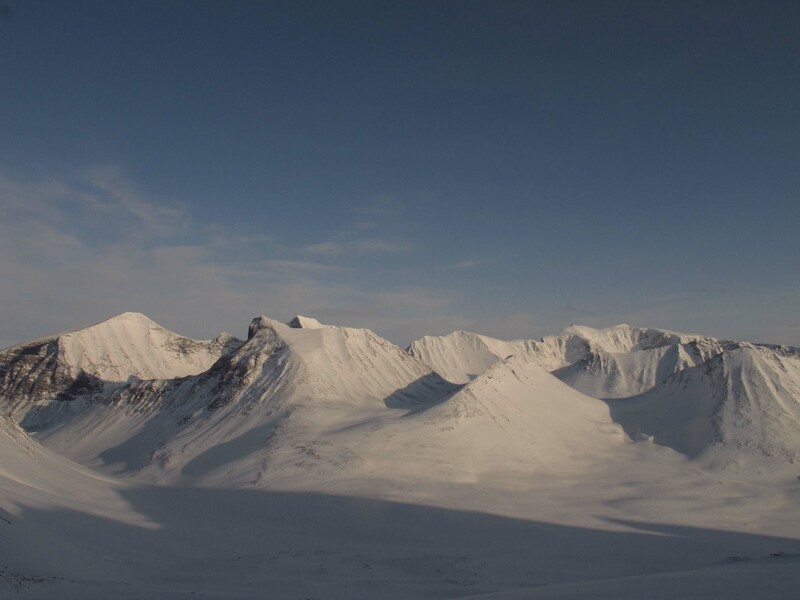 Evening view over the heart of the Swedish mountain range: Kaskasetjåkka, Kaskasepakte, Kebnepakte and the North and South summit of Kebnekaise. 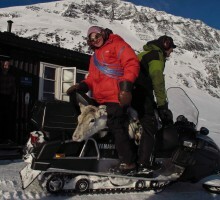 Per Ås showing how it’s done! 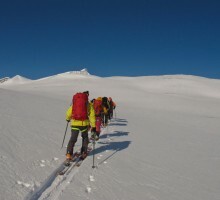 From Tarfala our instructors wanted us to get us worked, so we planned a tour traversing the Dragons ridge, then climbed the west ridge of Kebnepakte and continued over Halspasset, traversed the two highest peaks in Sweden – Kebnekaise’s north and south summit and then descended the east route, traversed the Tarfala glaciers and skied down wonderful powder on the Kebnepakte glacier. 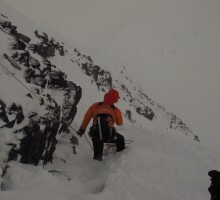 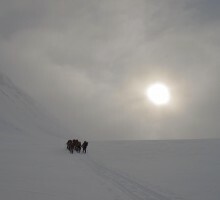 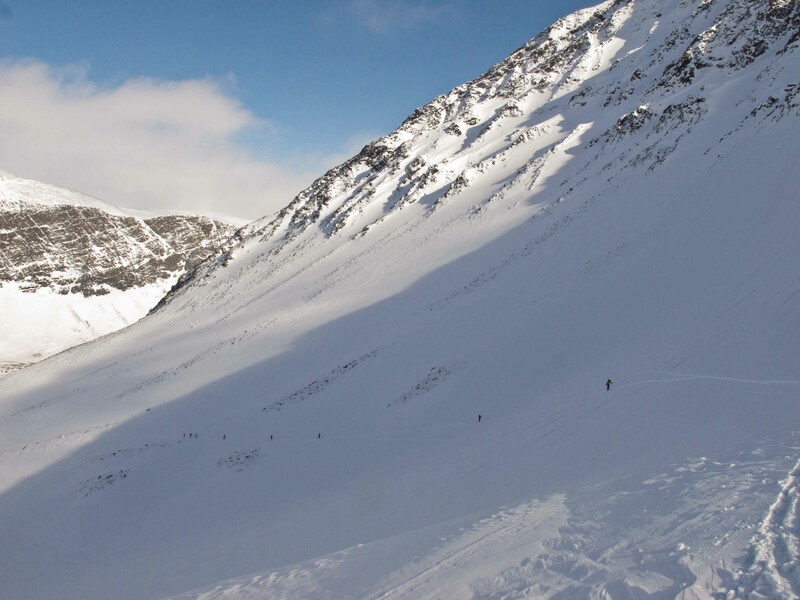 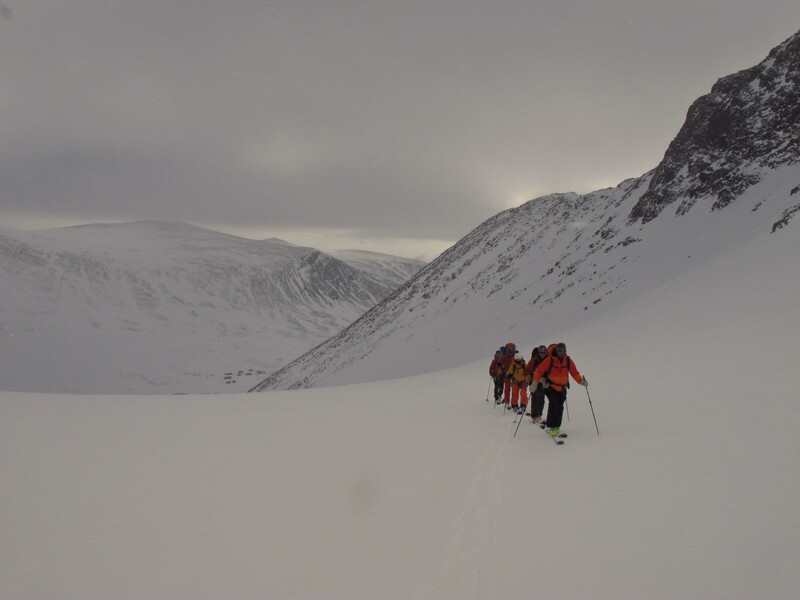 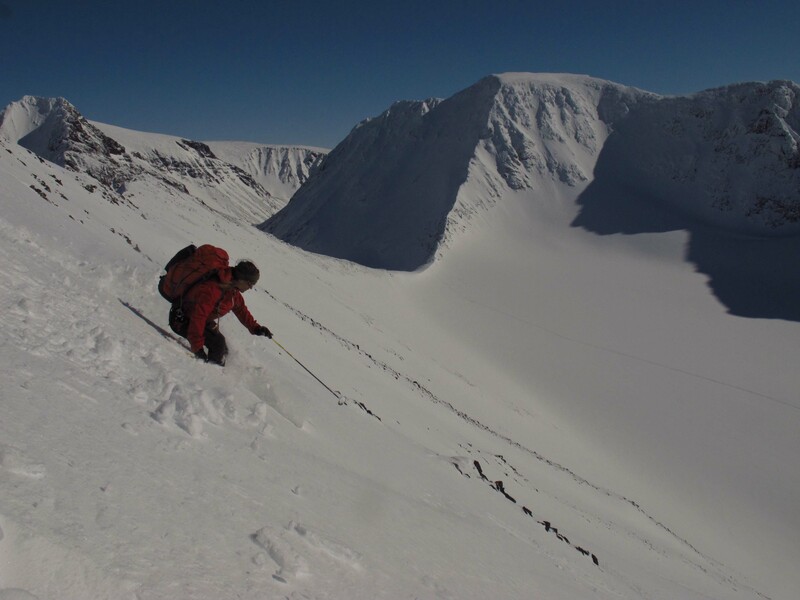 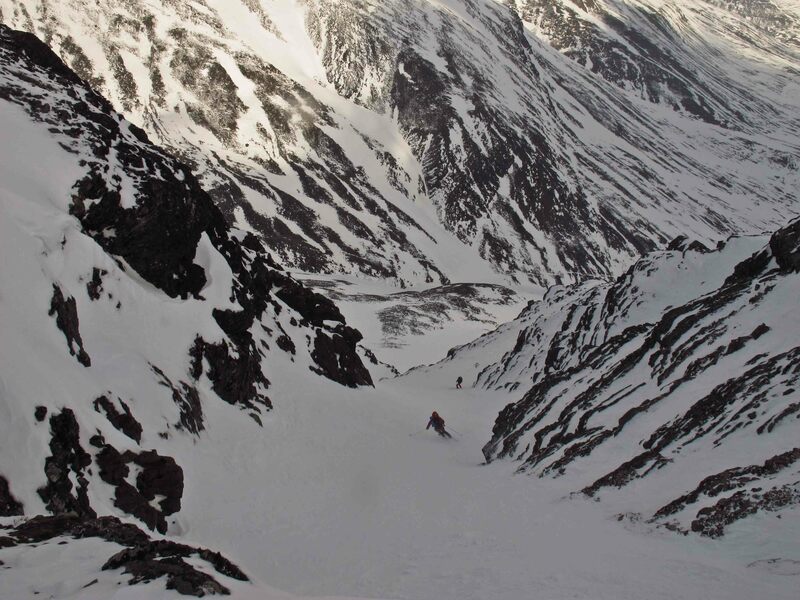 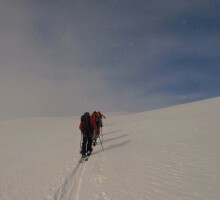 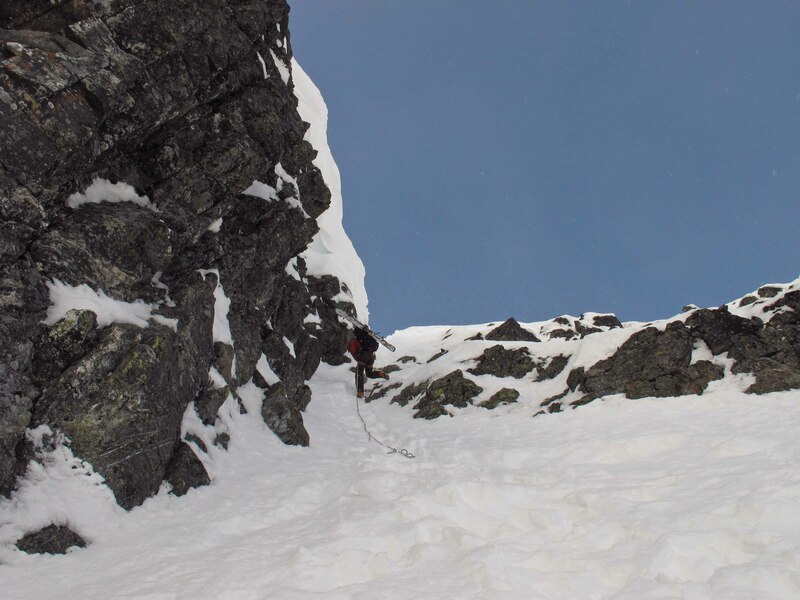 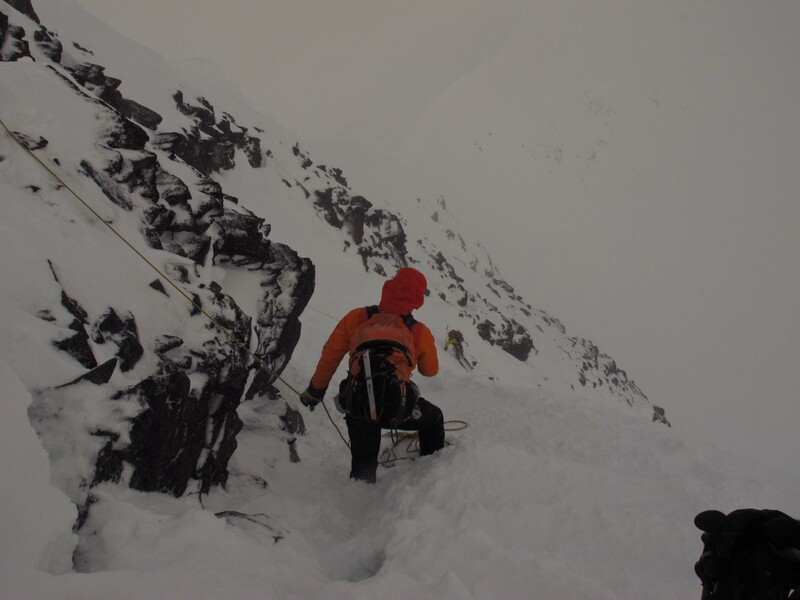 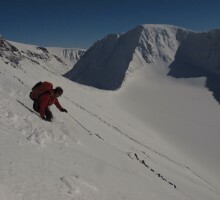 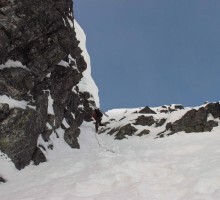 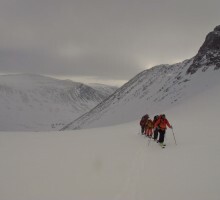 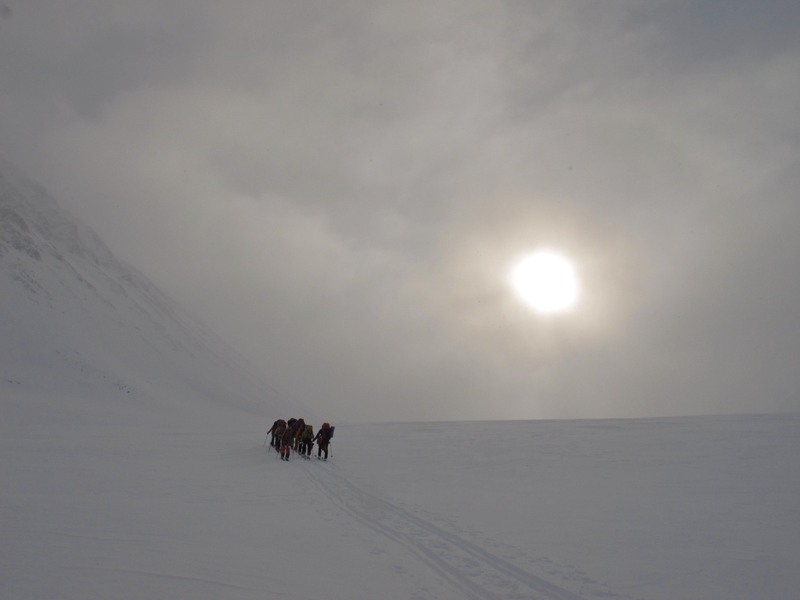 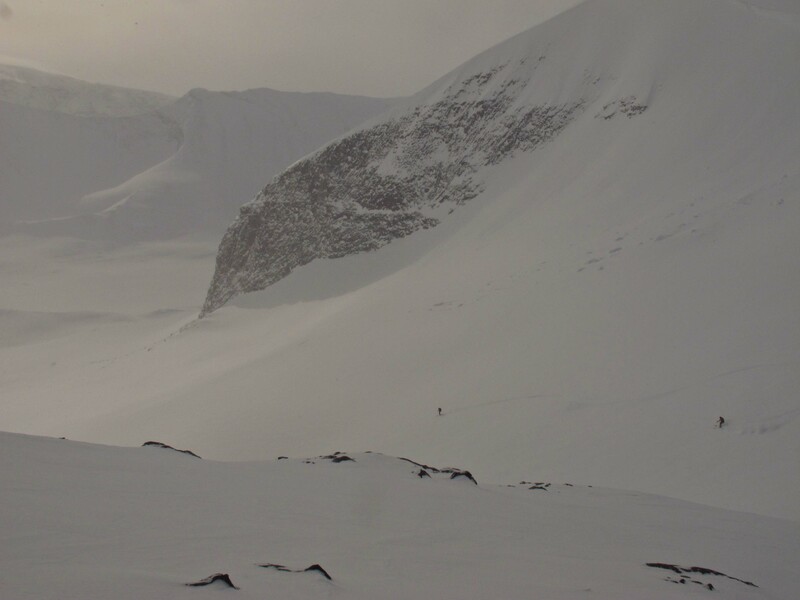 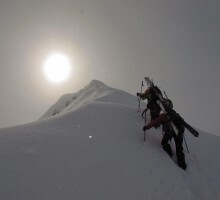 13 hours of ski mountaineering in guide pace was not something extreme by any means, but it was a good day out and about as long a good ski traverse in Sweden is without making things too contrived. 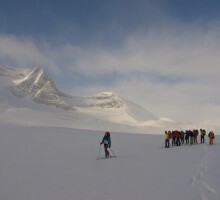 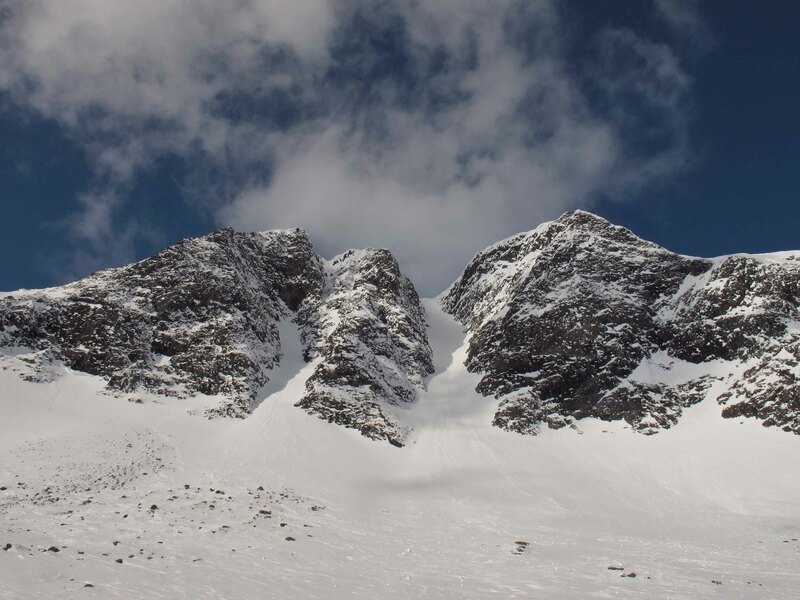 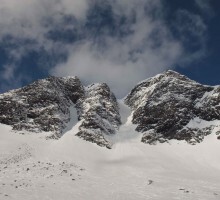 The following and last day took us over the Tarfala glaciers once again and over Toulpagourni back to the Kebnekaise mountain station where we had evaluations and went through this spring’s exams, finally got to take a shower, a sauna and a great four course dinner. 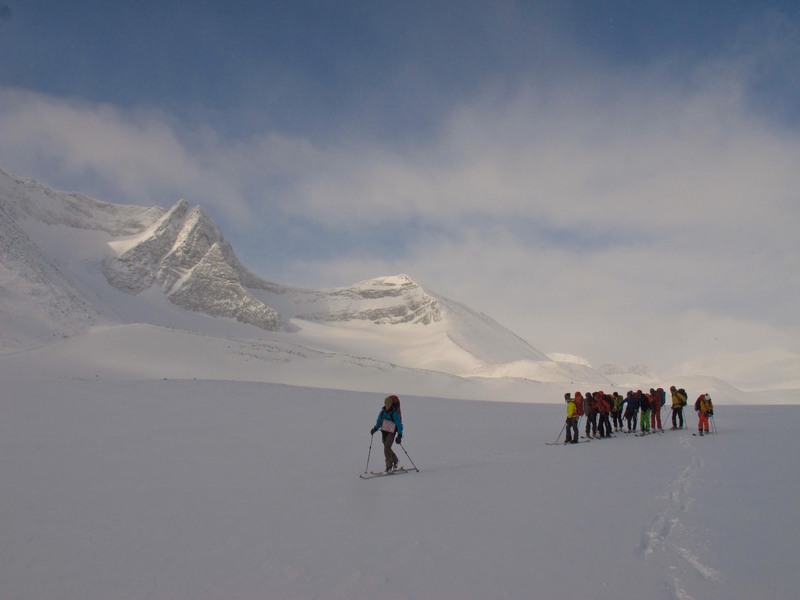 A great big thanks to everyone on the course for brilliant attitude, impressive skiing and mountain skills as well as for all the good times we got to spend together. 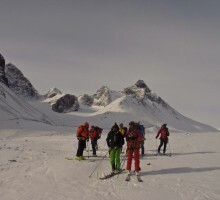 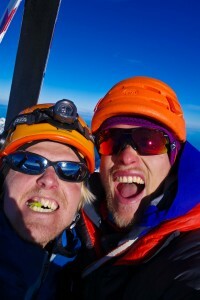 Also, big thumbs up to our instructors Per Ås, Stefan Palm and Jonathan Hultén for their great leadership, high mountain skills, humbleness and their sharing of vast mountain experience. 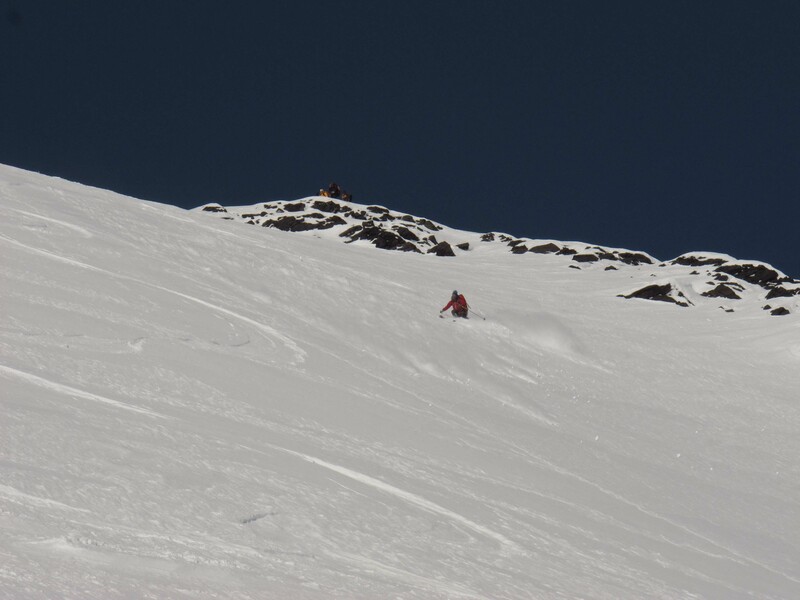 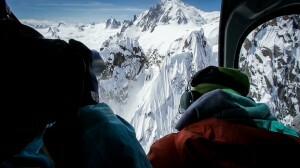 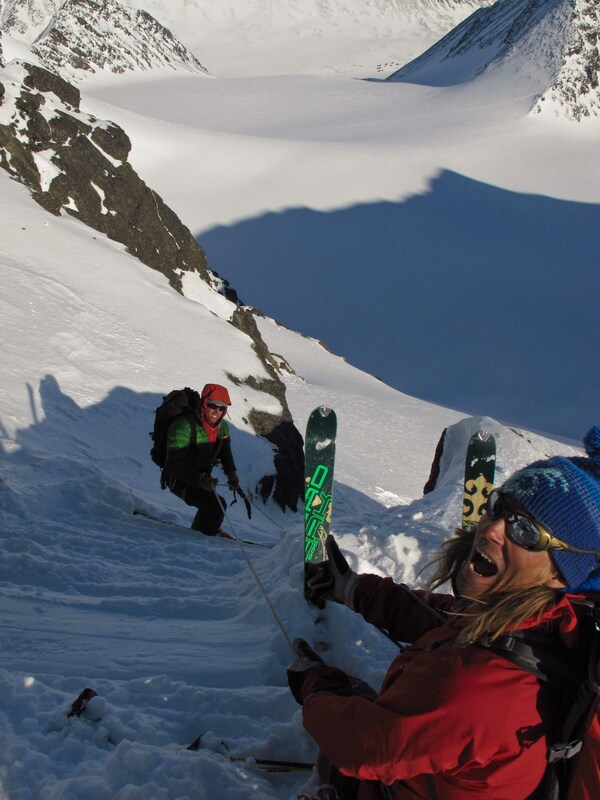 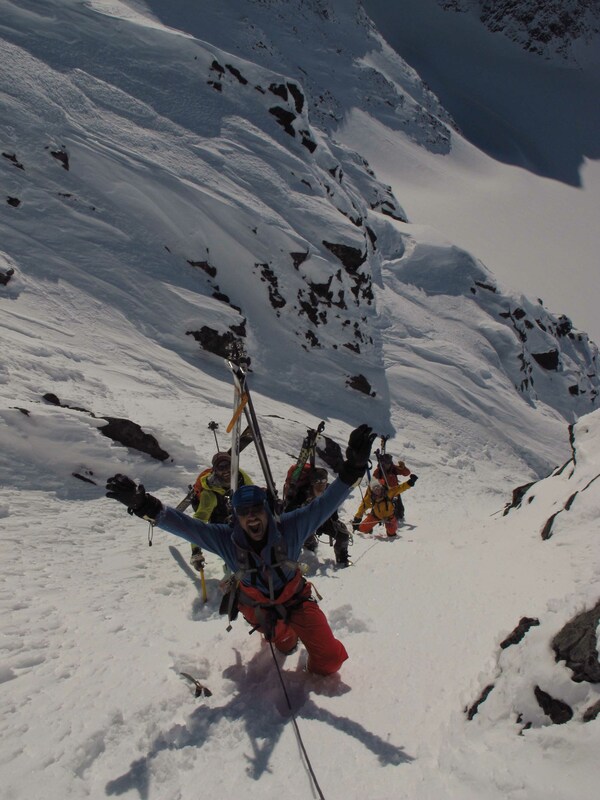 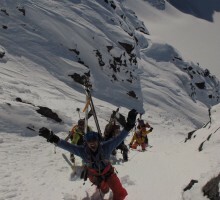 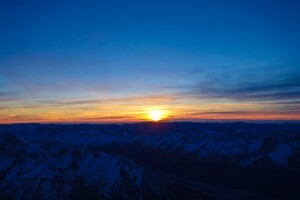 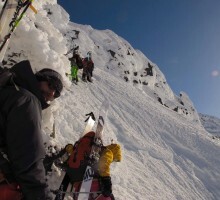 Now it’s once again time for Chamonix and the most fun part of the ski season – the spring! 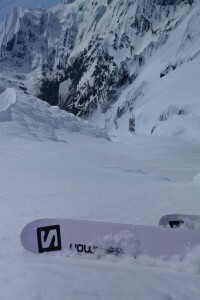 I’m really motivated to come back home and do some Cham adventuring!